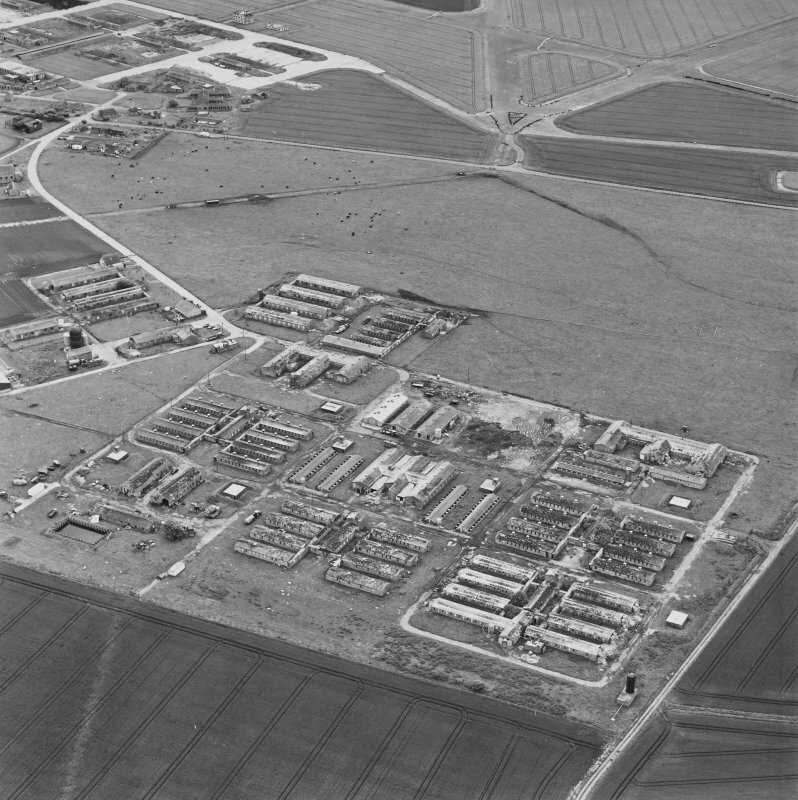 Oblique aerial view of Crail Airfield centred on the remains of the control tower, buildings, huts and aircraft hangars, taken from the ESE. 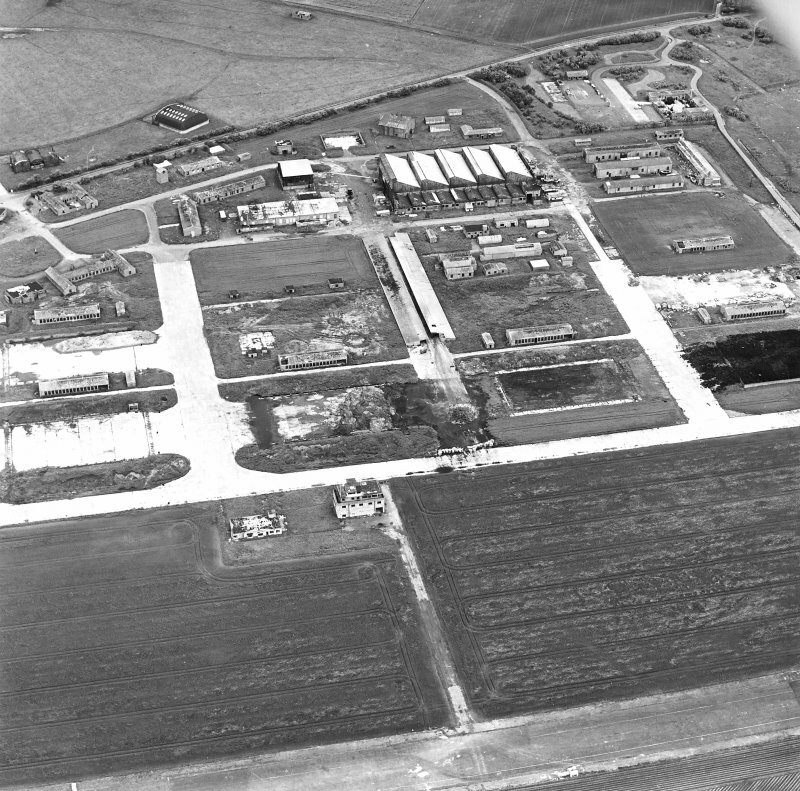 Oblique aerial view of Crail Airfield centred on the remains of buildings, a water tank and a hut, taken from the WNW. 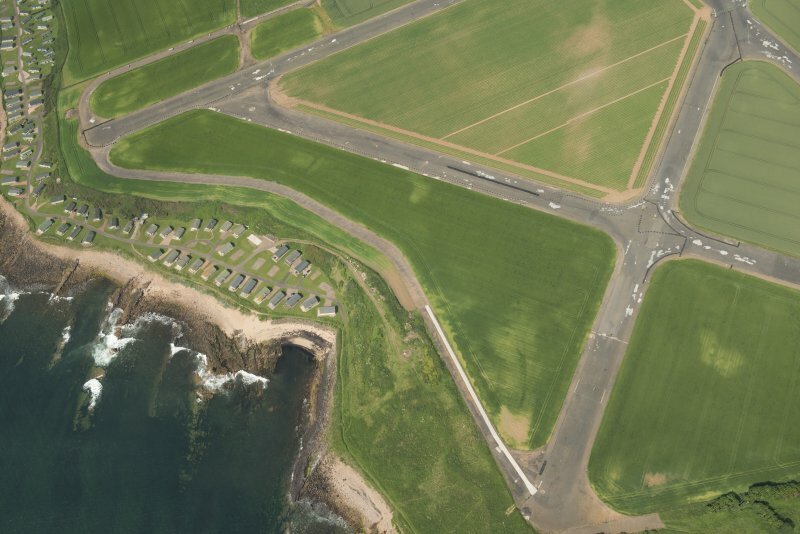 Oblique aerial view of Crail Airfield centred on the remains of the control tower, buildings, huts and aircraft hangars, taken from the SSE. 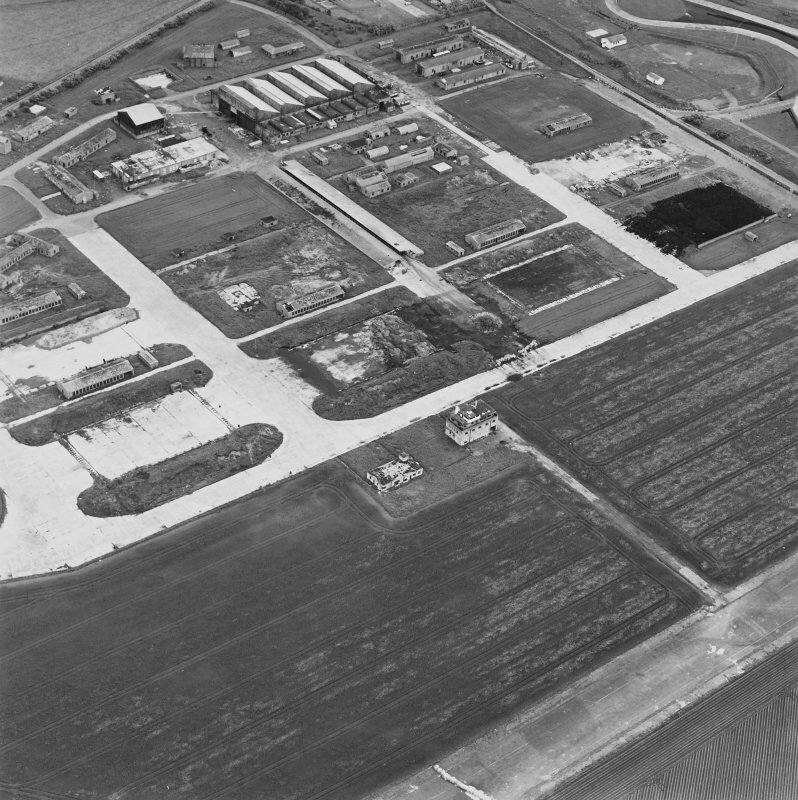 Oblique aerial view of part of Crail Airfield, looking SW.
For (scheduled) cropmark enclosures within the area of the airfield (NO 626 083), see NO60NW 32. 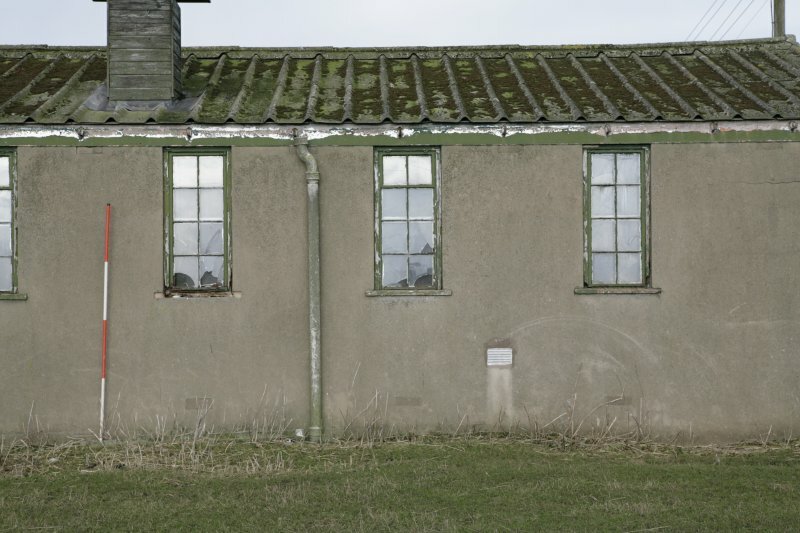 For HMS Jackdaw II (Dunino airfield: centred NO 56418 11452), see NO51SE 62.00. 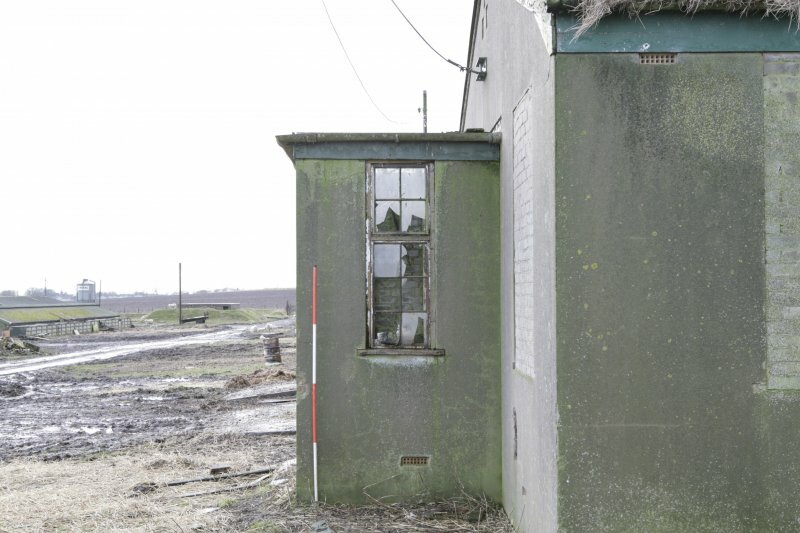 This World War I and World War II airfield still has many of its buildings extant including many of the perimeter defences. 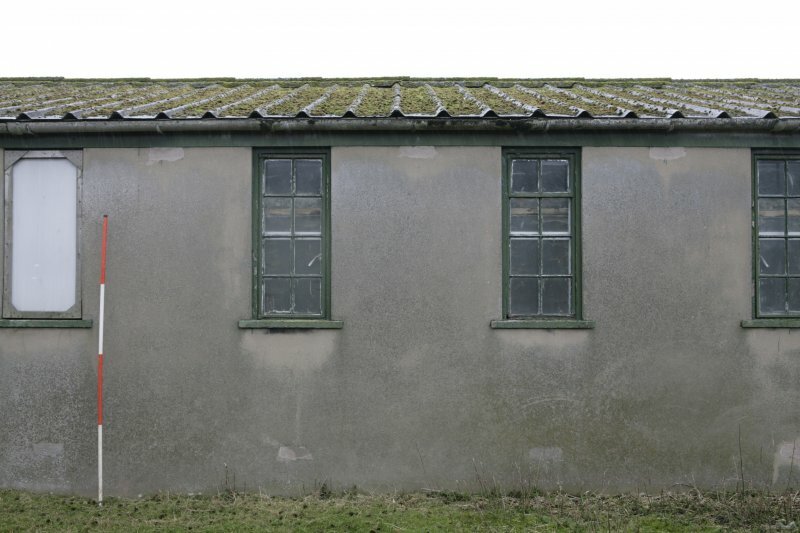 Specifically of interest are the chapel and cinema/gym buildings of harled concrete and brick construction. 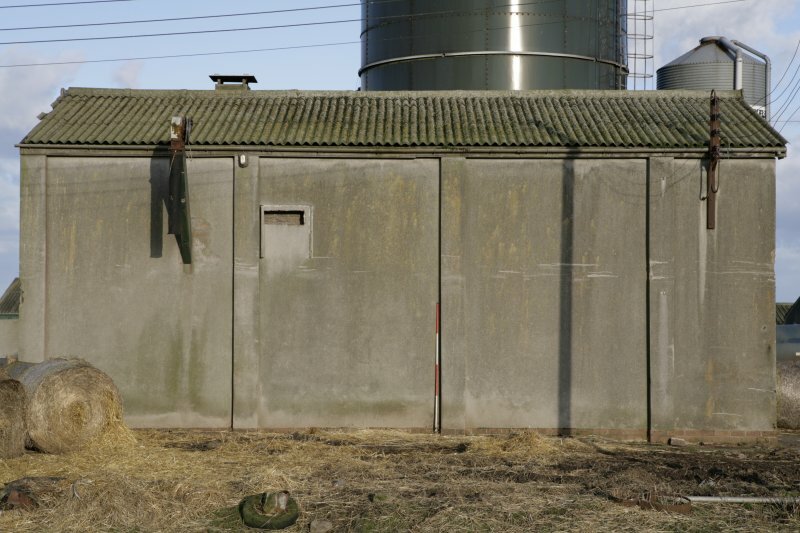 J Guy 1994; NMRS MS/810/3. 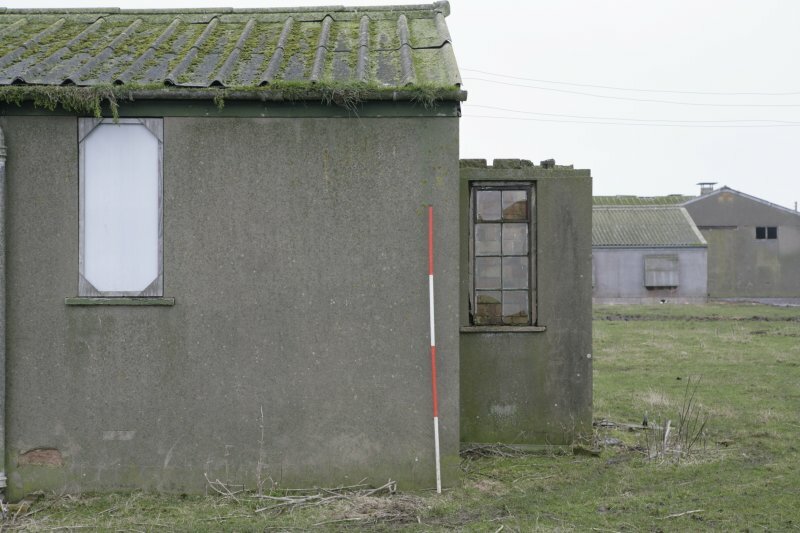 NO 627 094 A watching brief was undertaken during the cutting of a cable trench to the Kingdom Kart Club located at the Scheduled site of Crail Airfield (NMRS NO60NW 49). 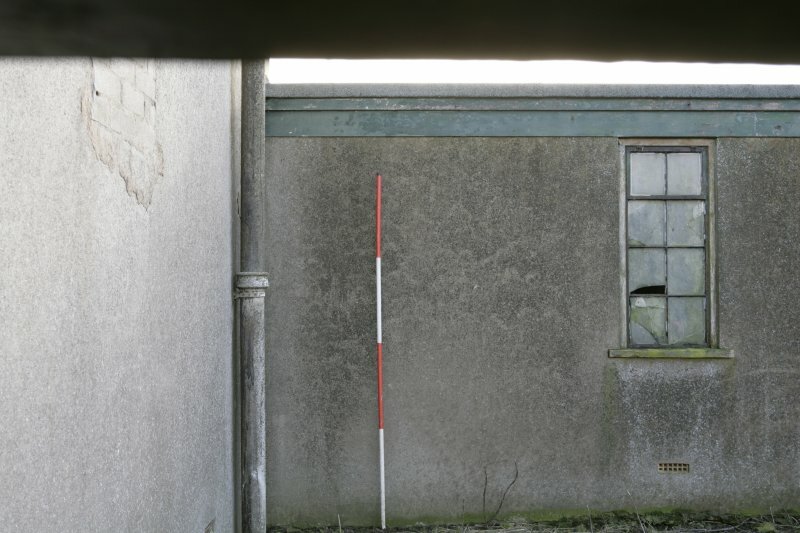 No archaeological features or deposits of archaeological significance were located. 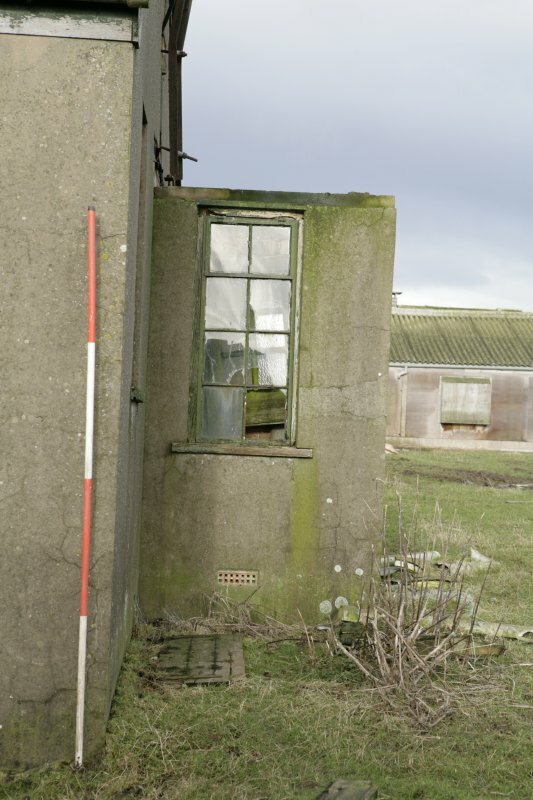 NO 626 083 Archaeological monitoring was undertaken in May 2003 in support of testing for ground contaminants at Crail Airfield. 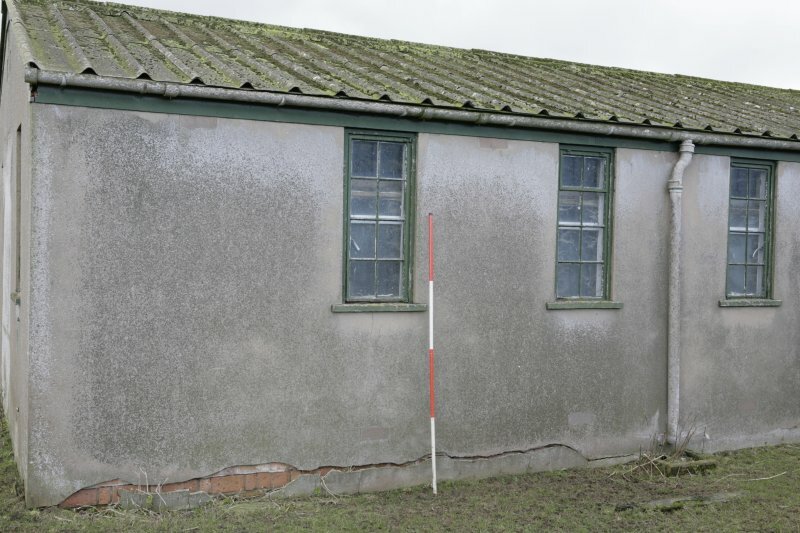 All works were undertaken under the terms of Scheduled Monument Consent, avoiding standing structures and hard surfaces. 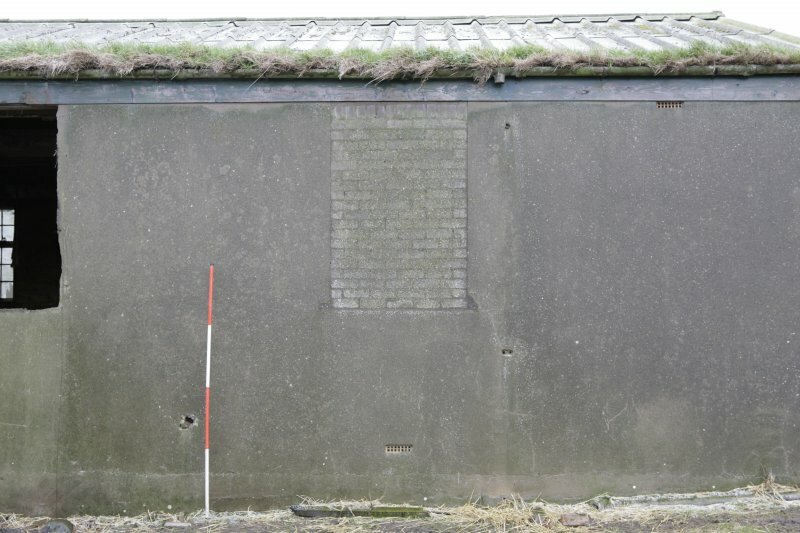 No significant artefacts or structures were found. 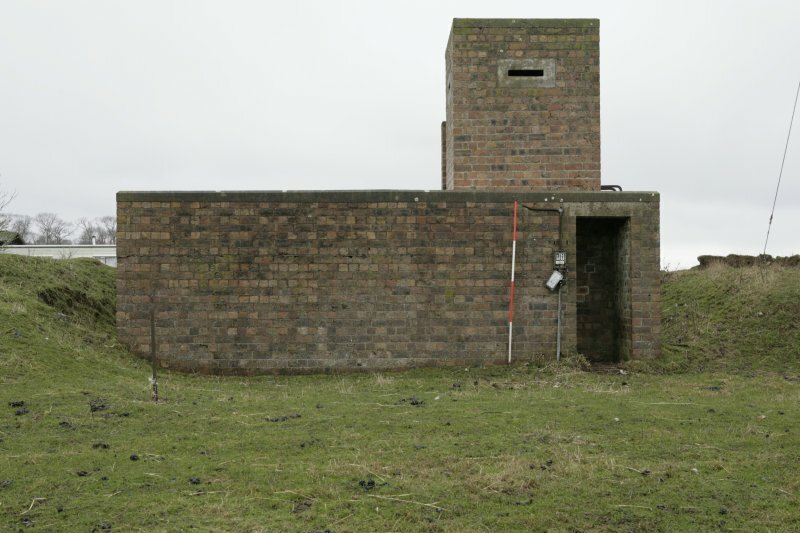 Report to be lodged with Fife SMR. 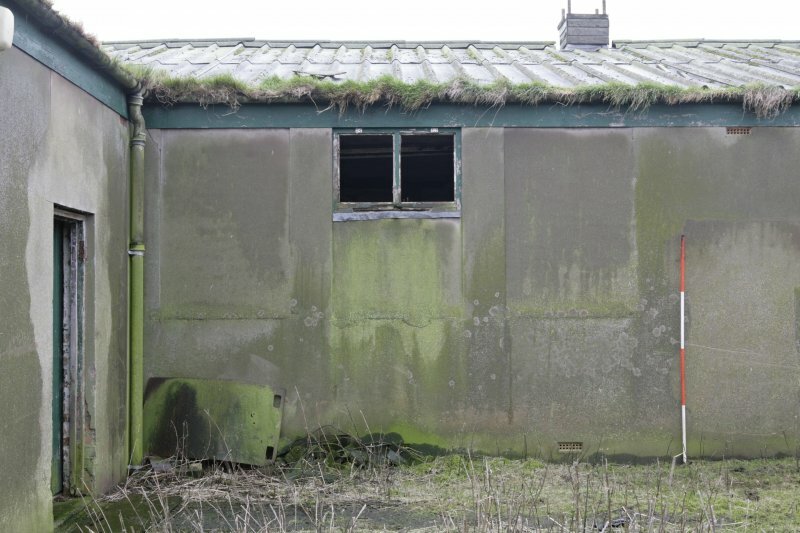 Scheduled as 'the remains of a military airfield and associated features built during World War One and adapted for military re-use during World War Two and the subsequent Cold War period'. 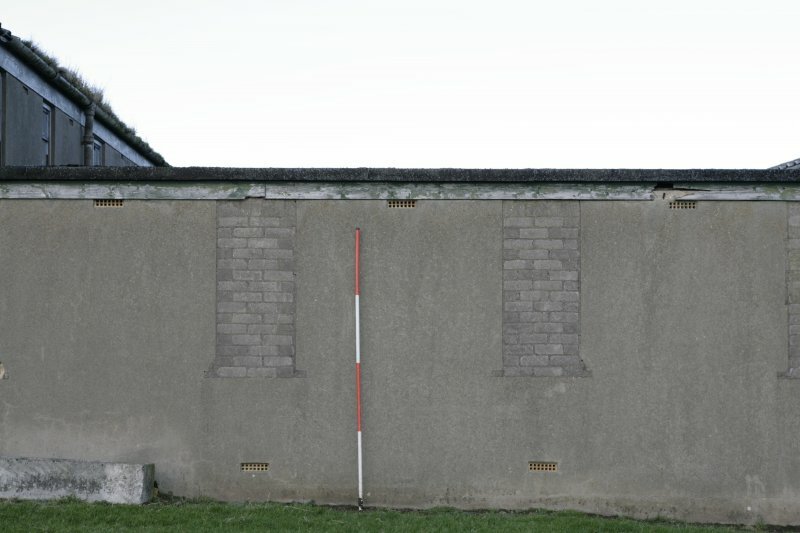 (Constituent elements cited). 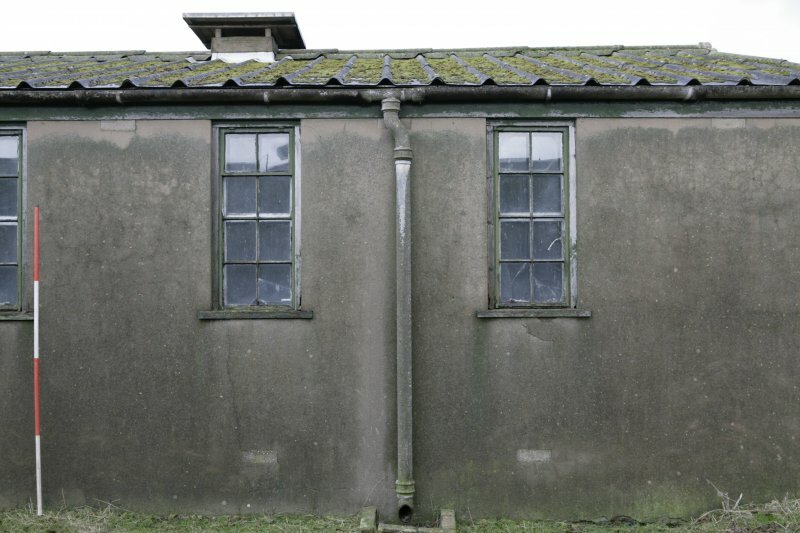 Information from Historic Scotland, scheduling document dated 25th [unspecified month] 2007. 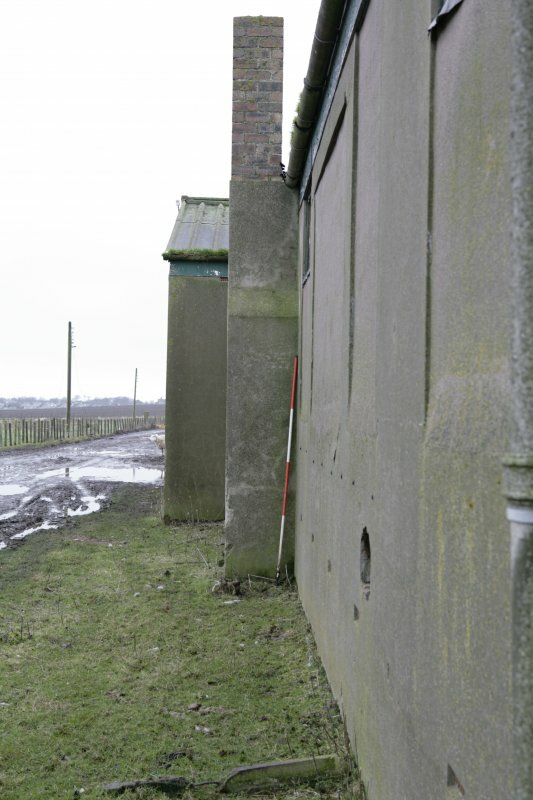 NO 6320 0895 An archaeological watching brief was undertaken of excavations associated with the construction of the new marine outfall within the Scheduled area at Crail Airfield. 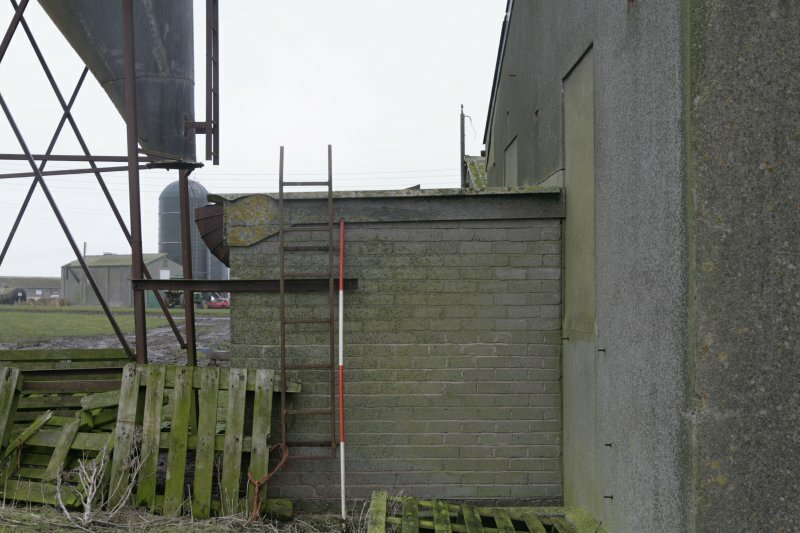 The works also comprised a pre-excavation marine survey of the site of the offshore diffuser unit. 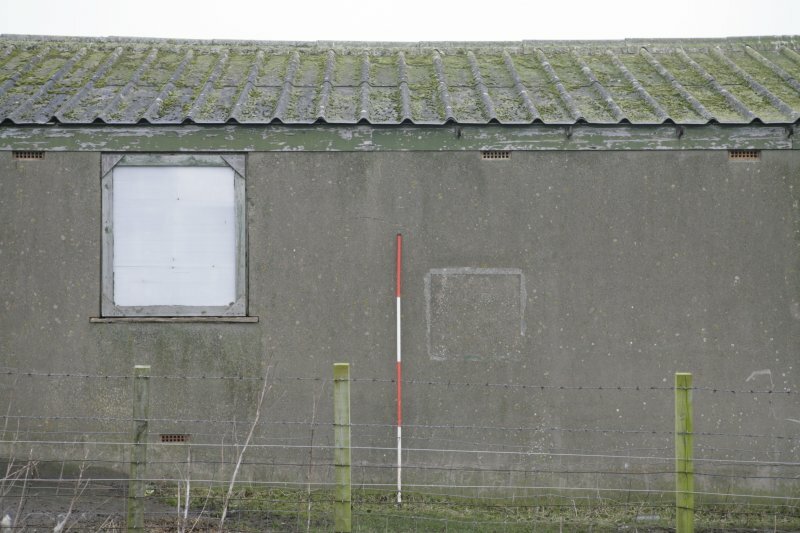 No features of archaeological interest were observed. 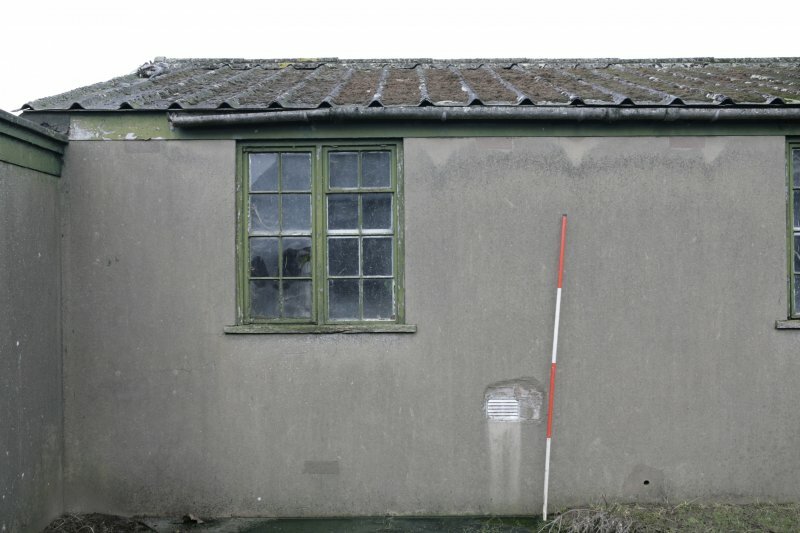 Full details will be lodged with the NMRS. 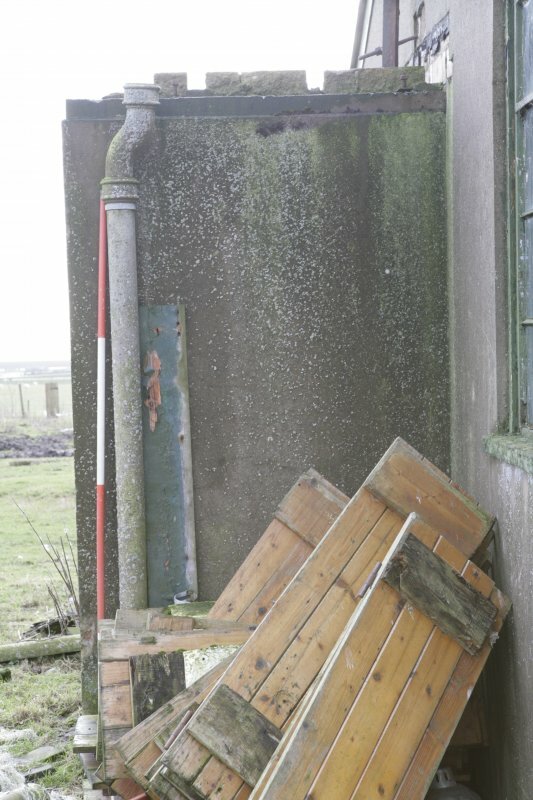 Sponsor: East of Scotland Water. 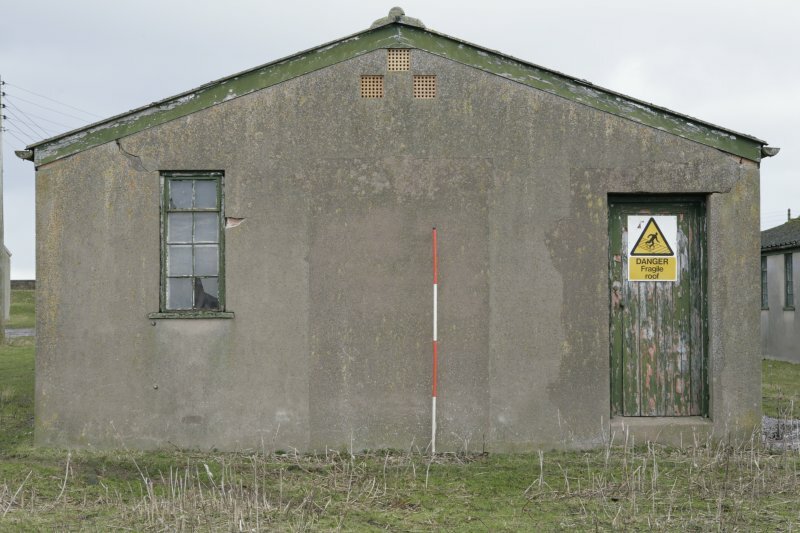 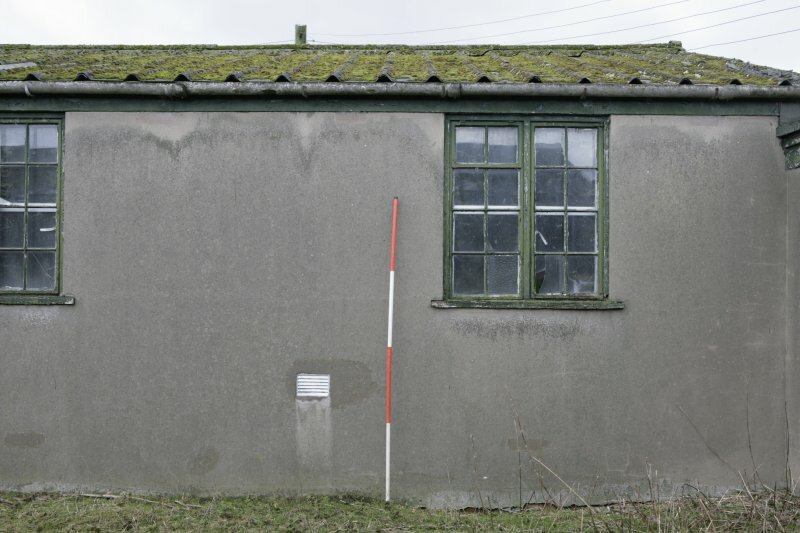 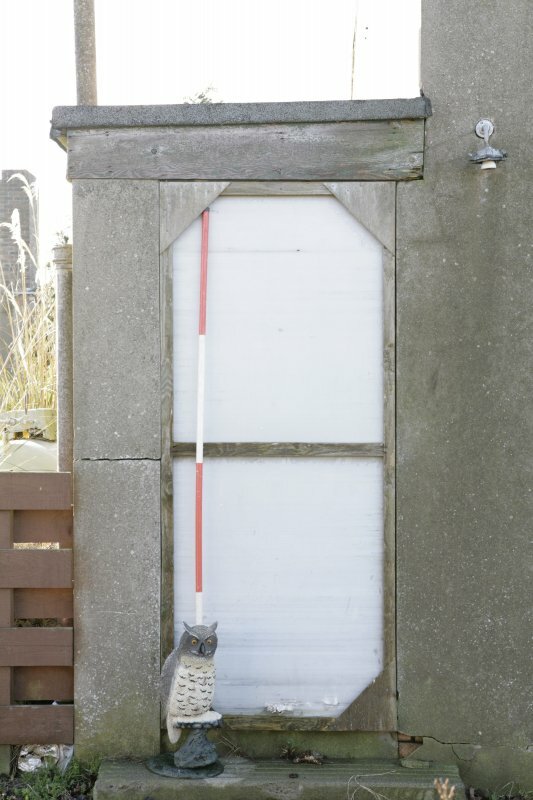 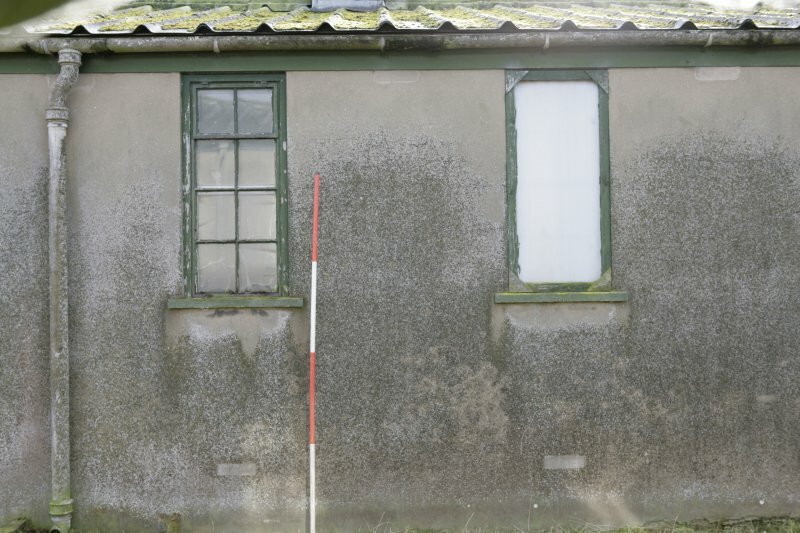 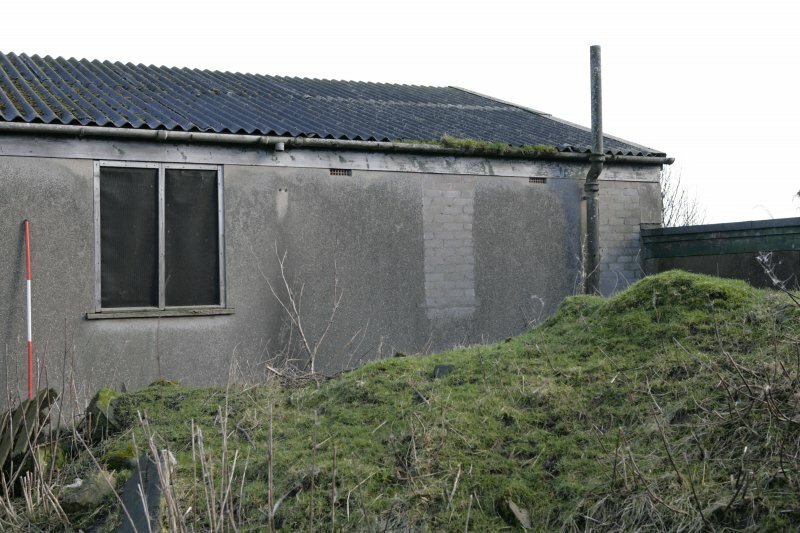 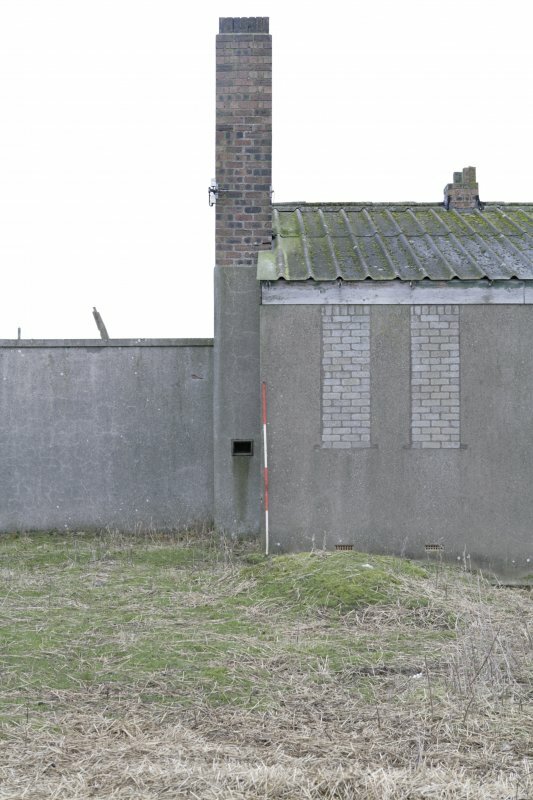 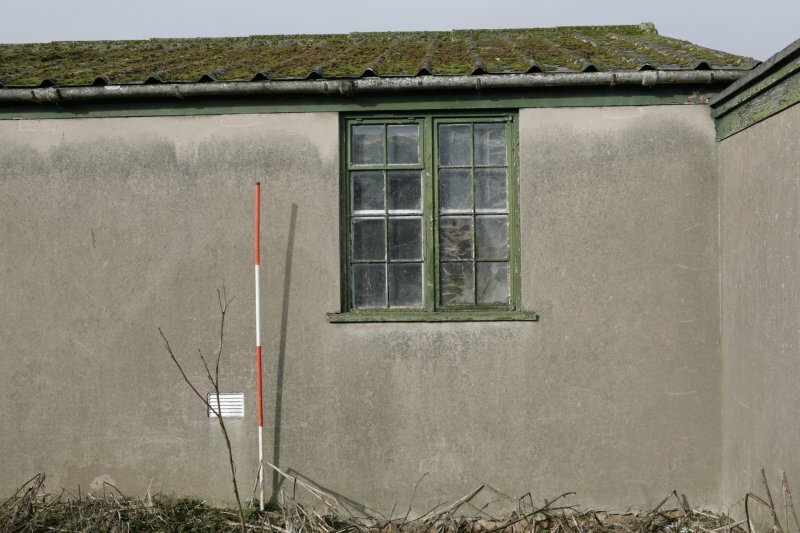 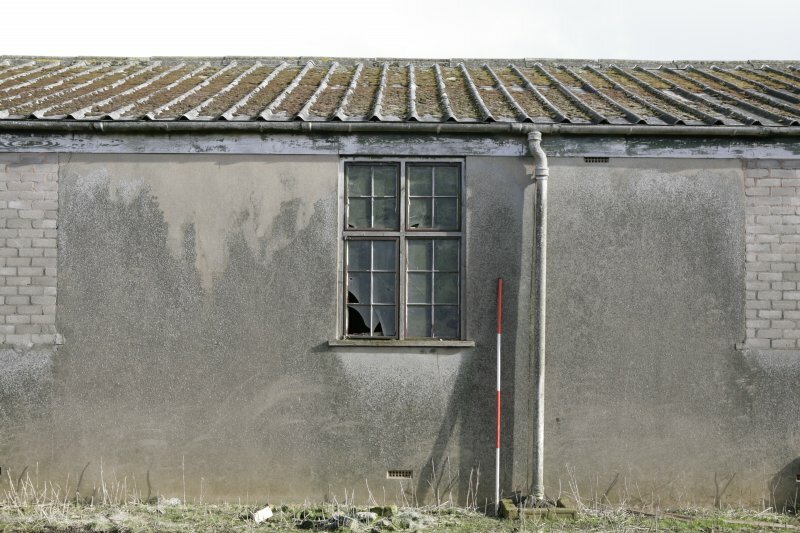 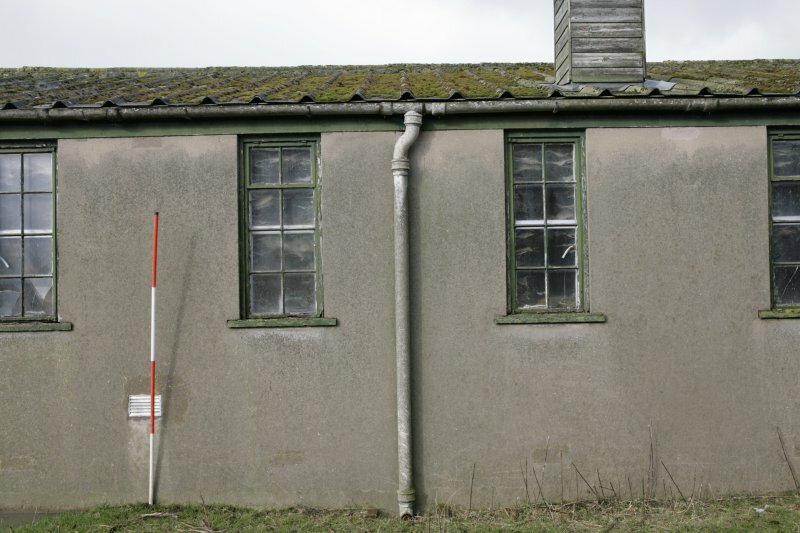 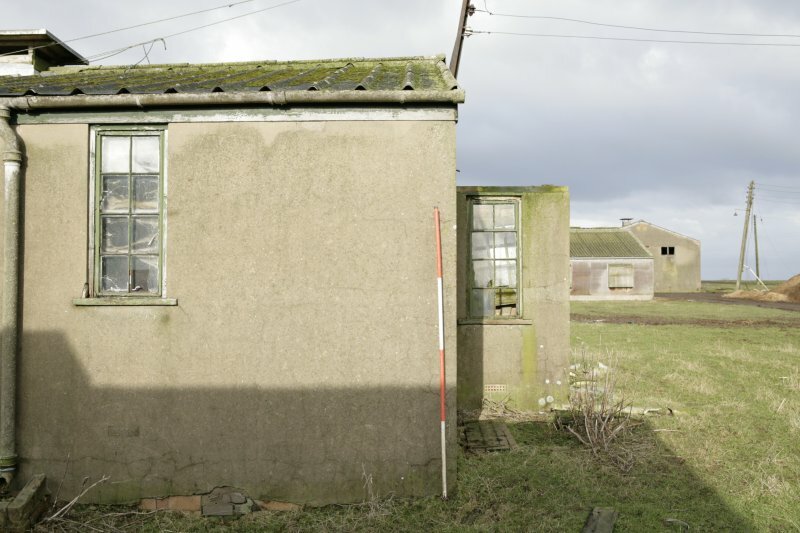 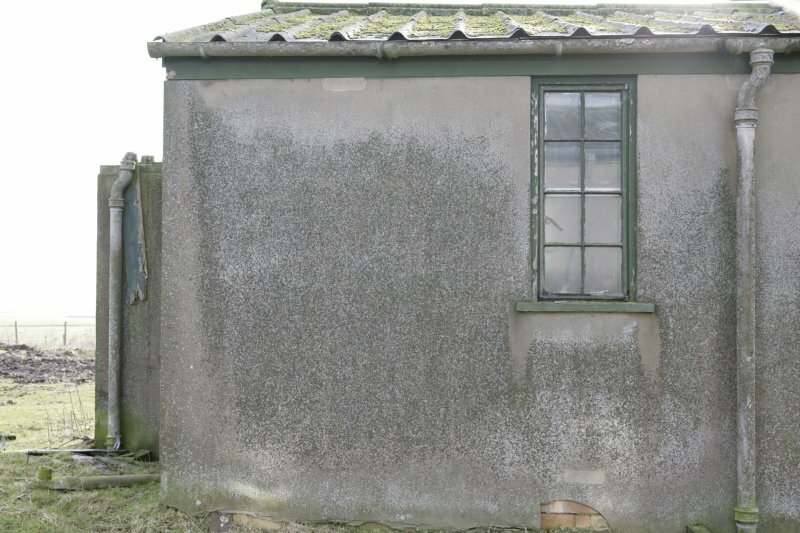 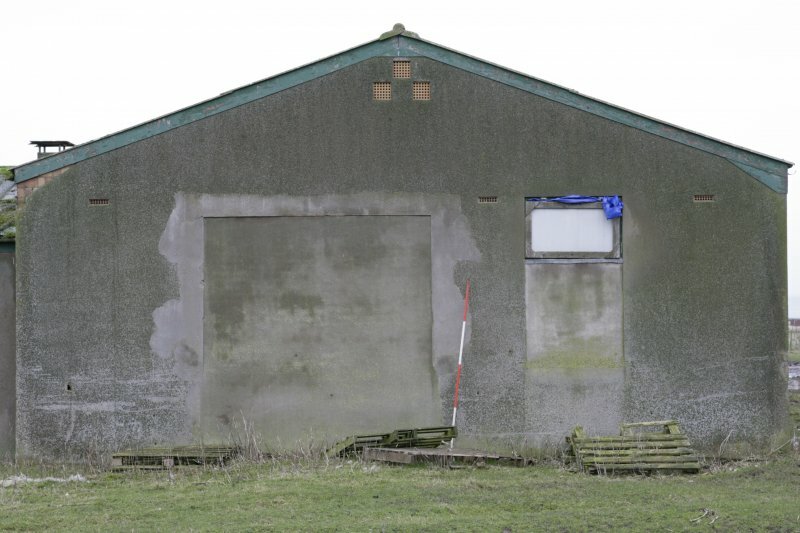 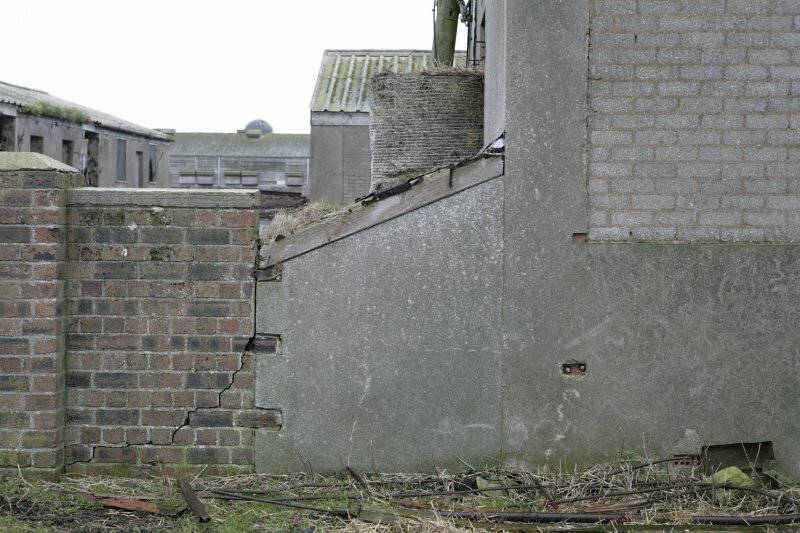 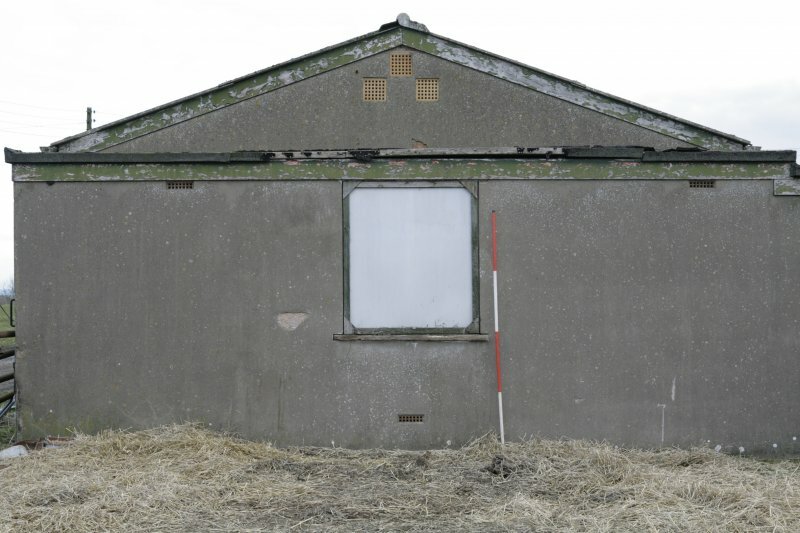 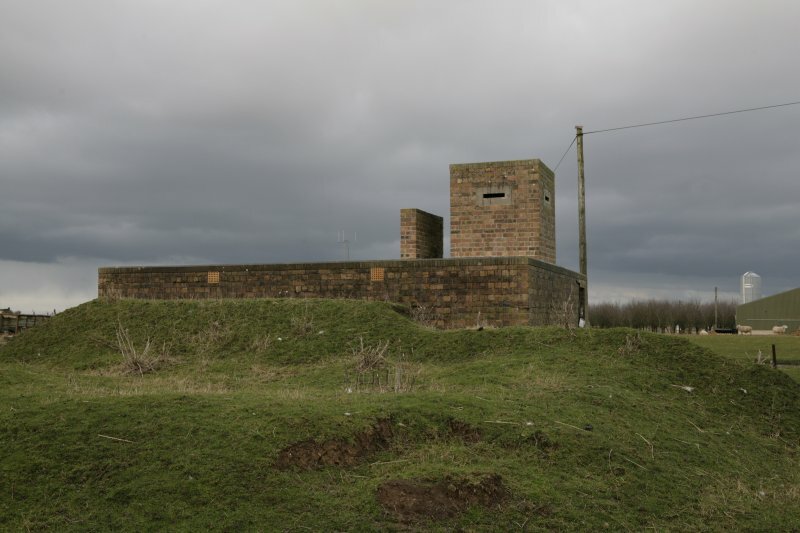 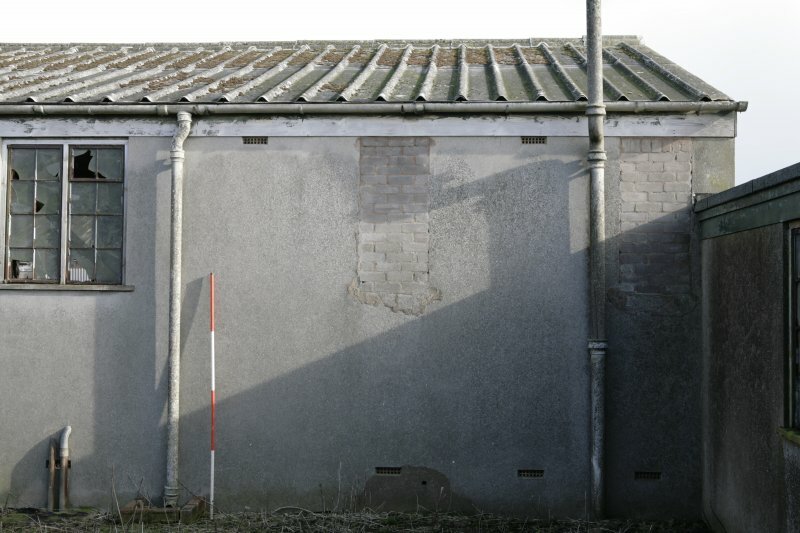 NO 6232 0872 A measured building survey was carried out in February 2006 by CFA Archaeology Ltd.
Crail Airfield is the best surviving example of a WW2 Fleet Air Arm airfield in the United Kingdom and is designated a scheduled ancient monument. 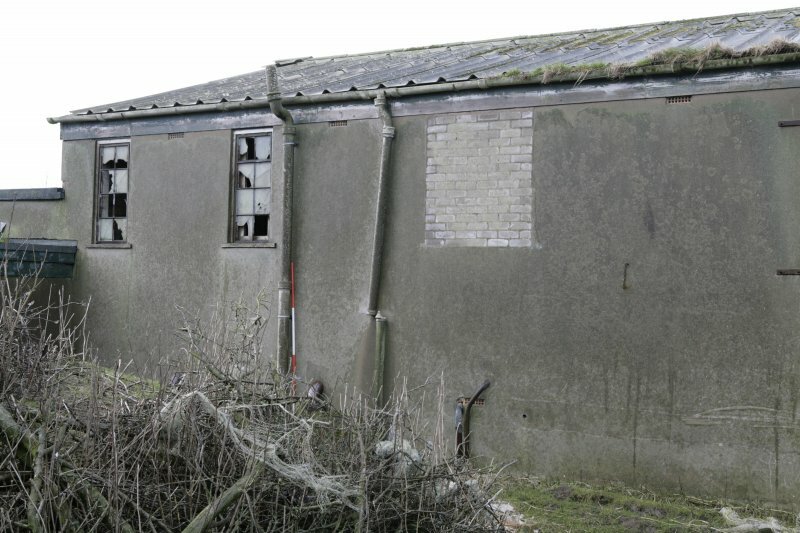 The airfield was originally established during the First World War (see NO60NW 49.23) but none of the structures associated with that phase of its use are thought to survive. 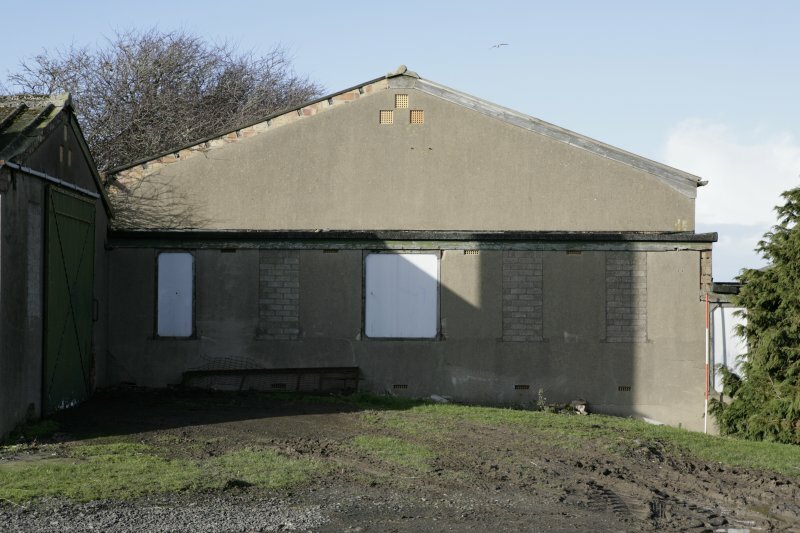 Formerly known as HMS Jackdaw, the present Crail airfield was constructed in 1939 and functioned throughout the war as a naval training base. 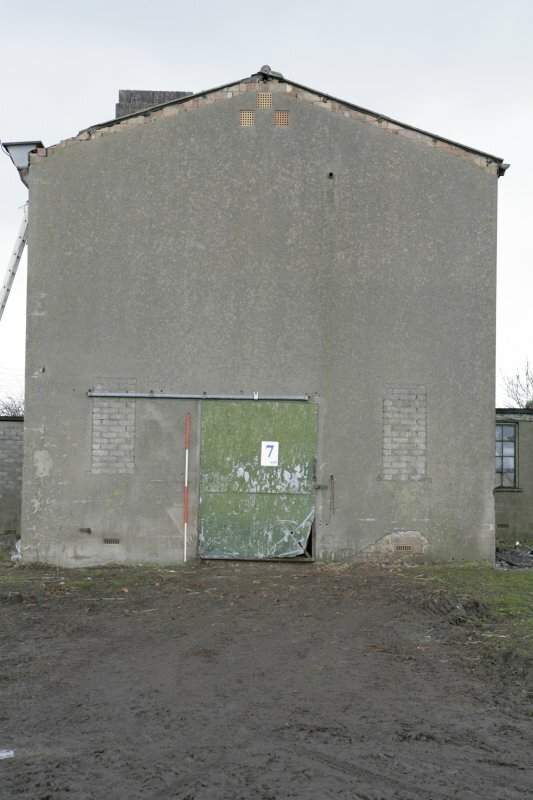 Naval air operations ceased in 1947, but the site continued as HMS Bruce, a naval training unit. 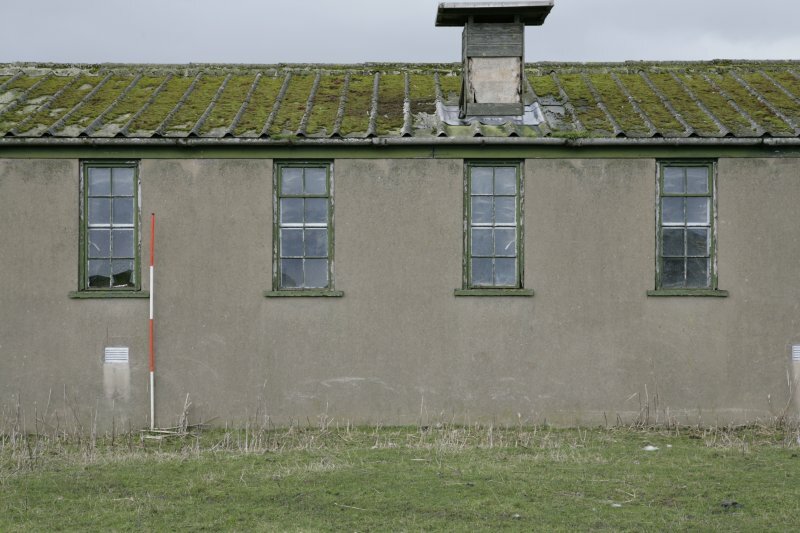 During the Cold War, military use continued between 1952 and 1960 as the Joint Services and Language School. 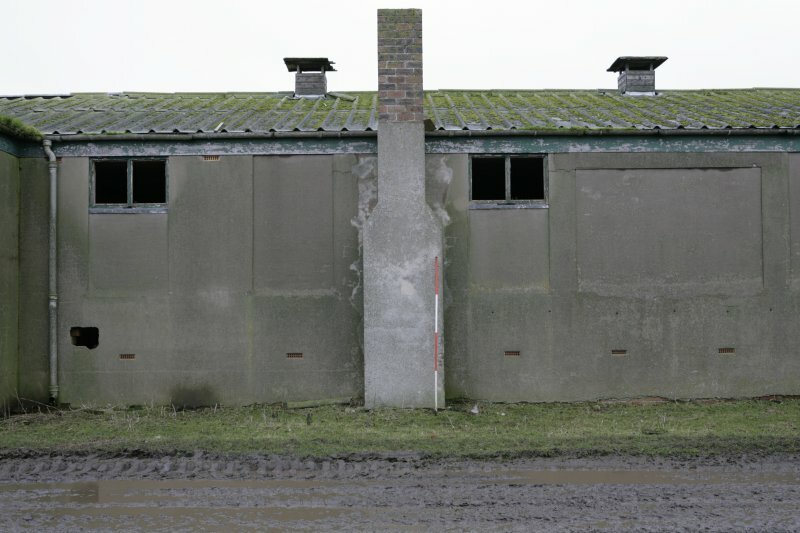 Since 1960 part of the airfield has been a pig farm. 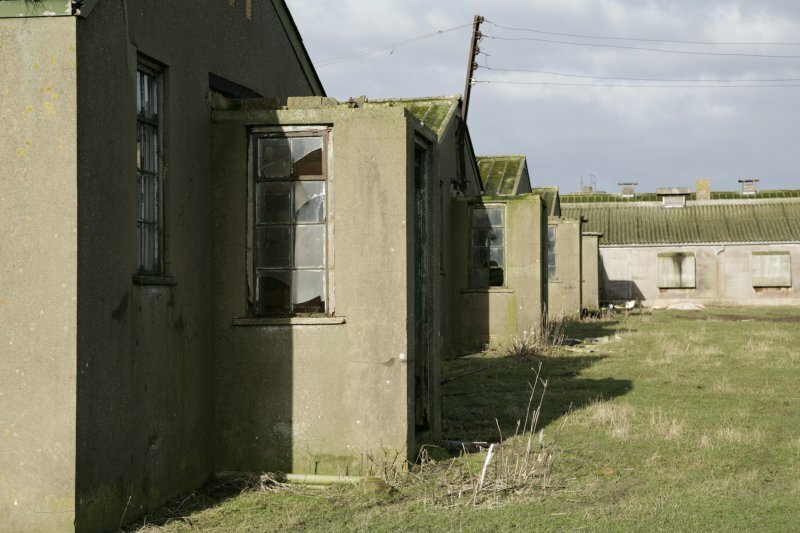 The airfield is clustered into two groups of buildings. 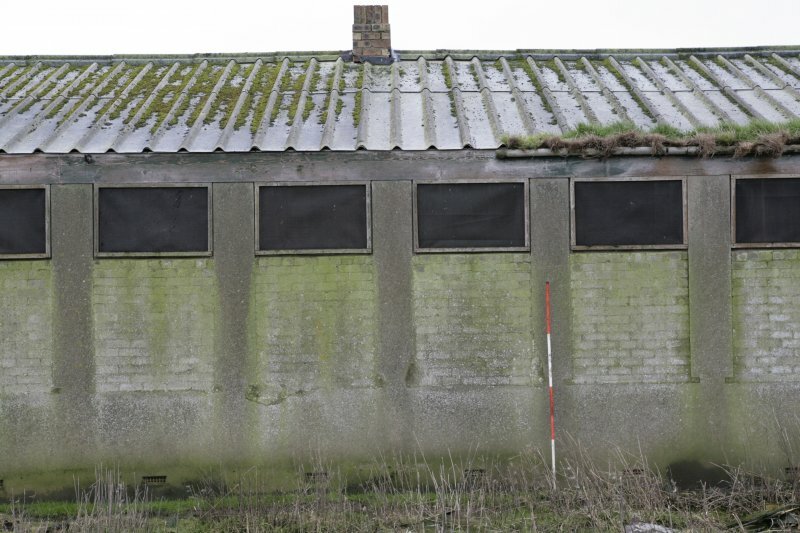 The western group consists of the non-operational sector (barrack blocks, church and cinema) and the eastern group was the operational sector (control tower, hangar, dispersal bays, runways, engine and aircraft armament repair shops). 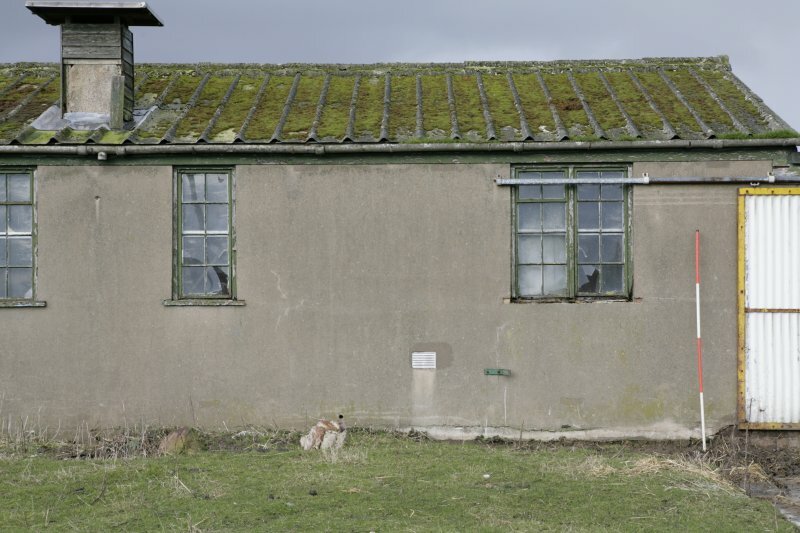 Historic Scotland selected 48 buildings to represent the range and types of buildings that still survive. 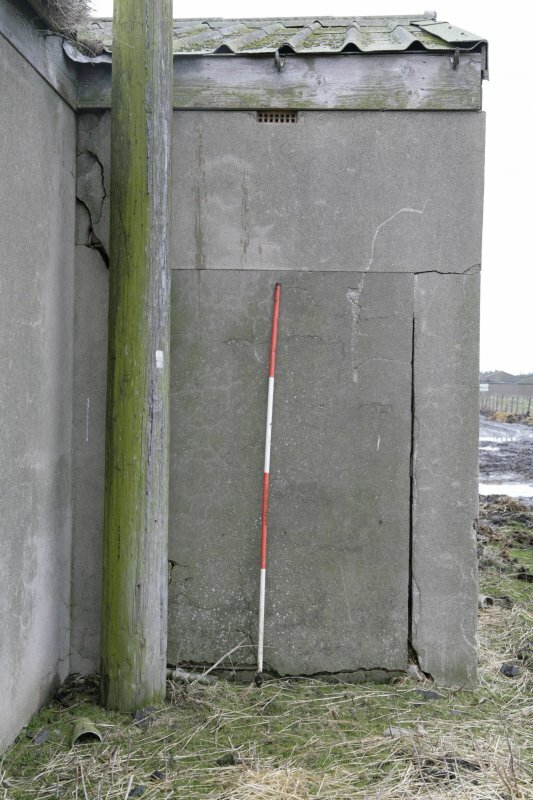 These were surveyed to Level 2 in February 2006. 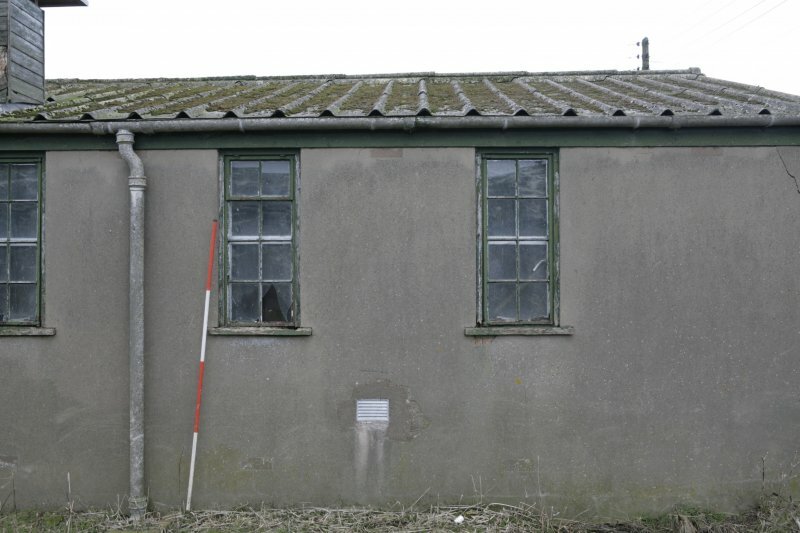 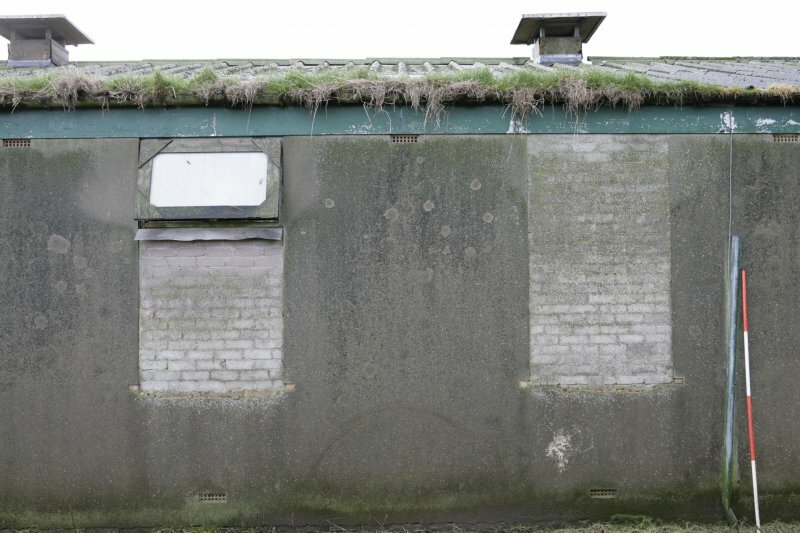 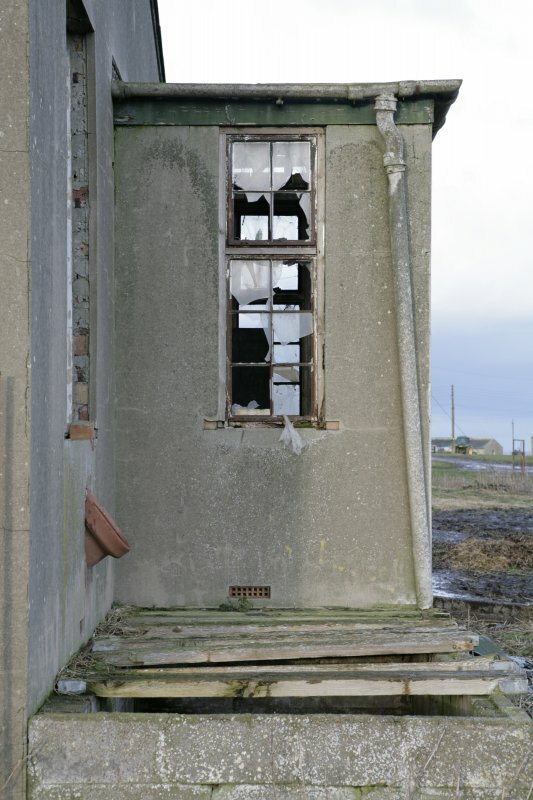 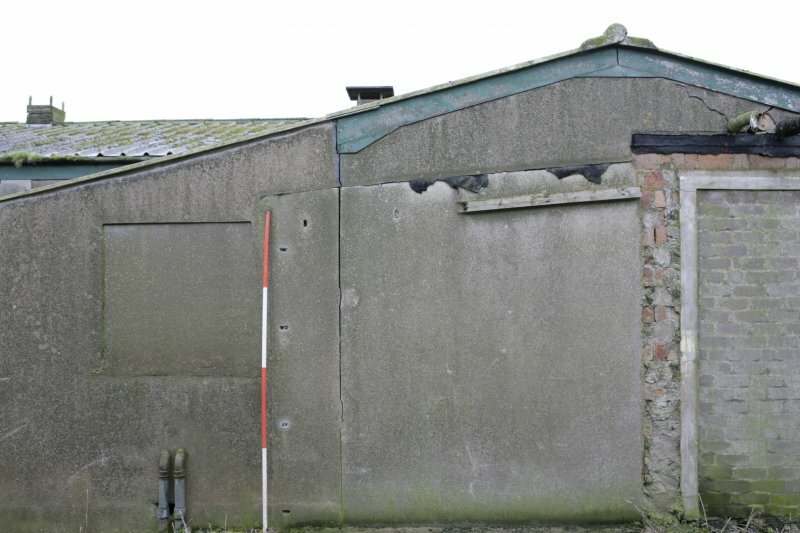 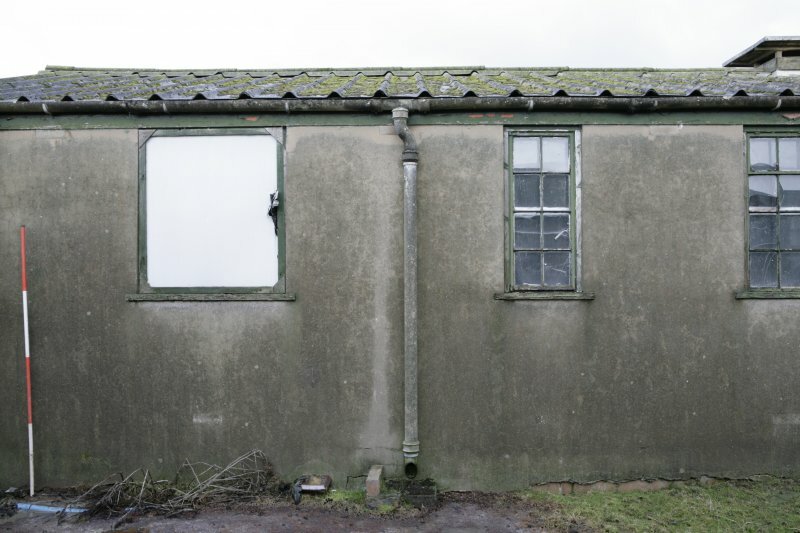 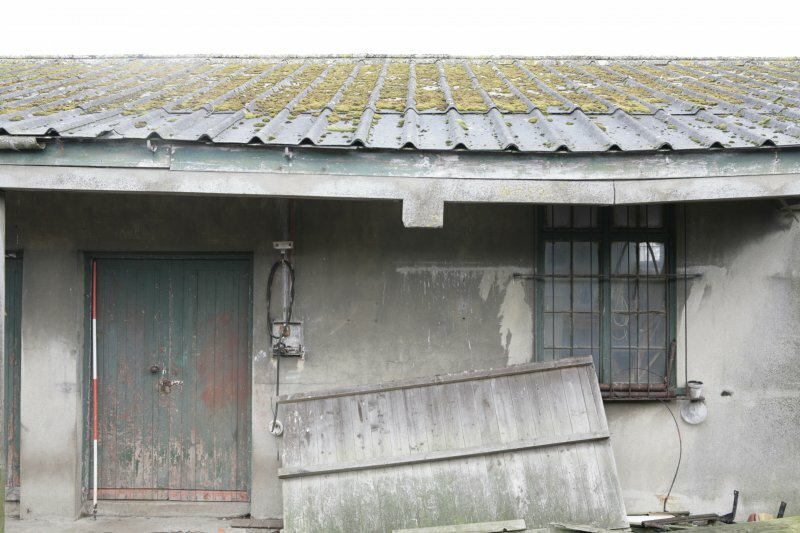 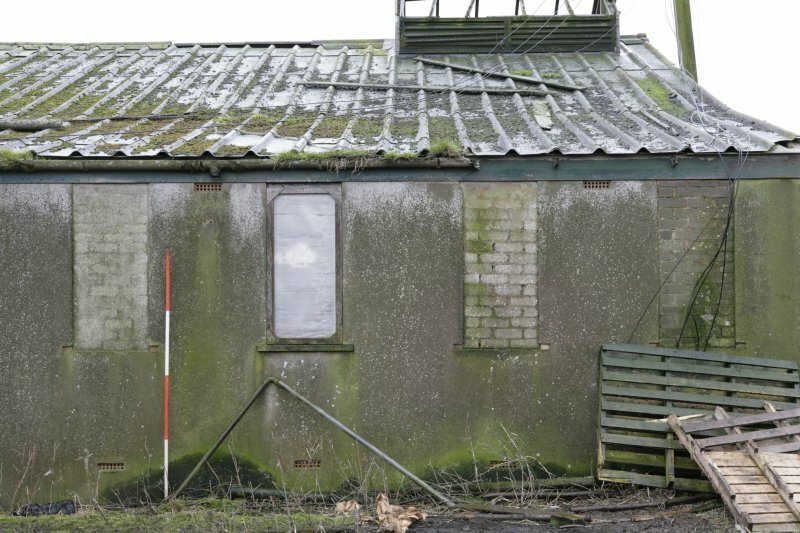 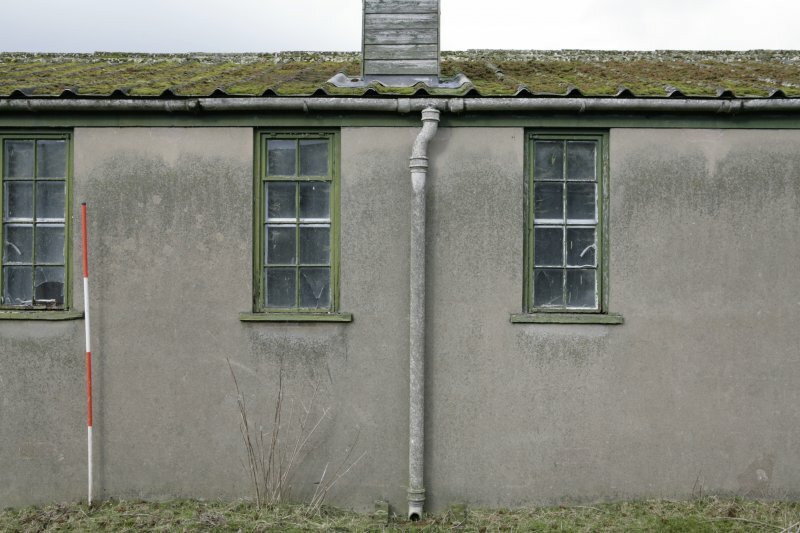 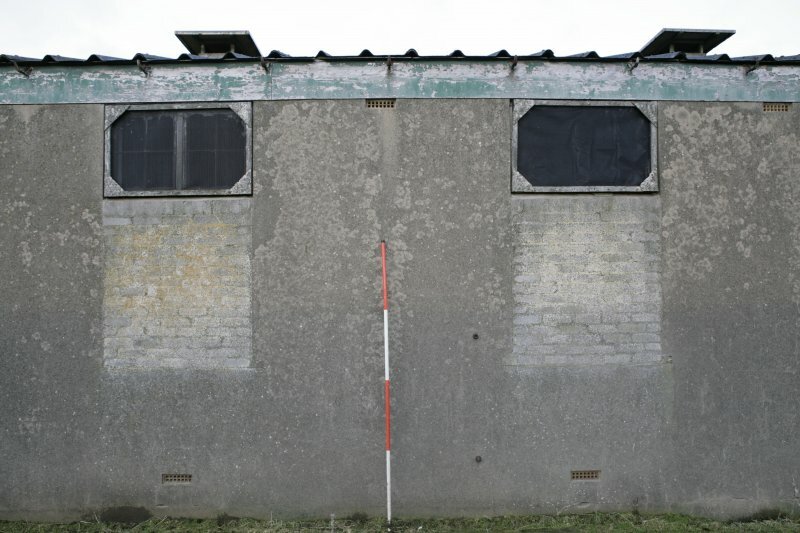 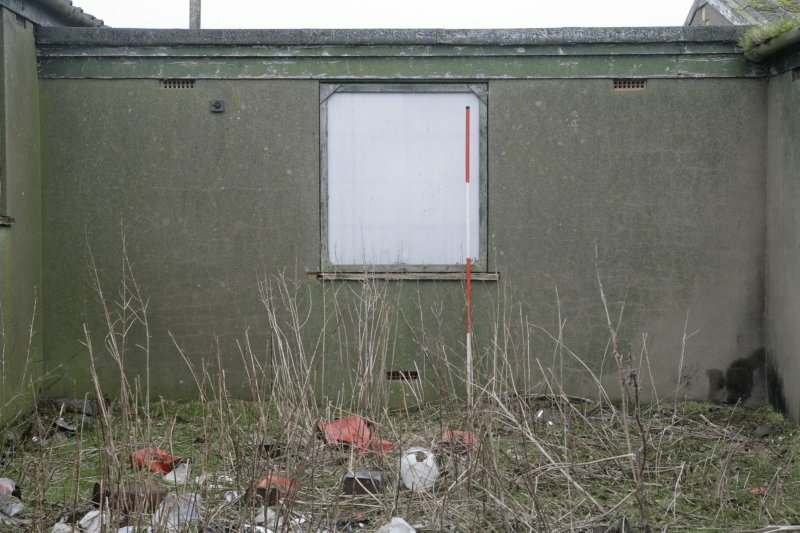 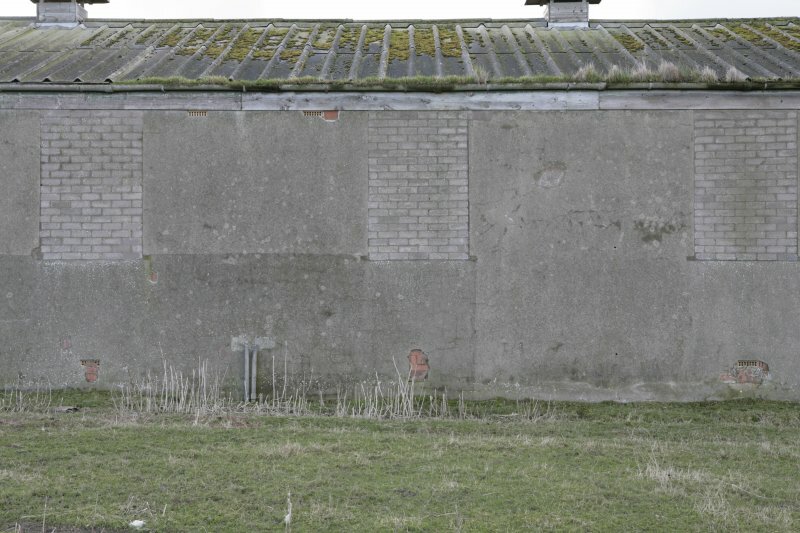 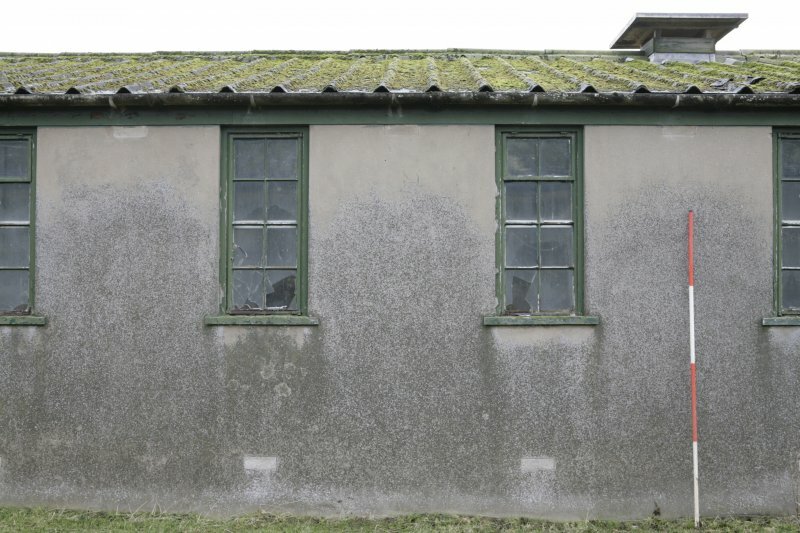 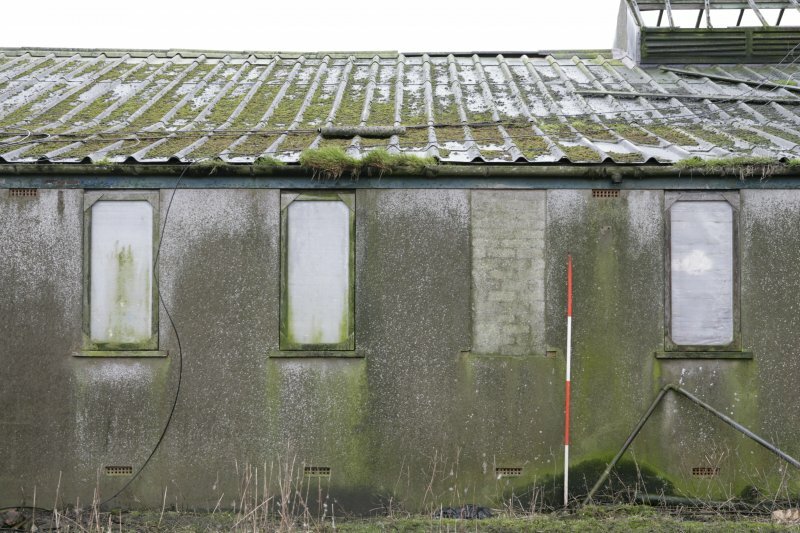 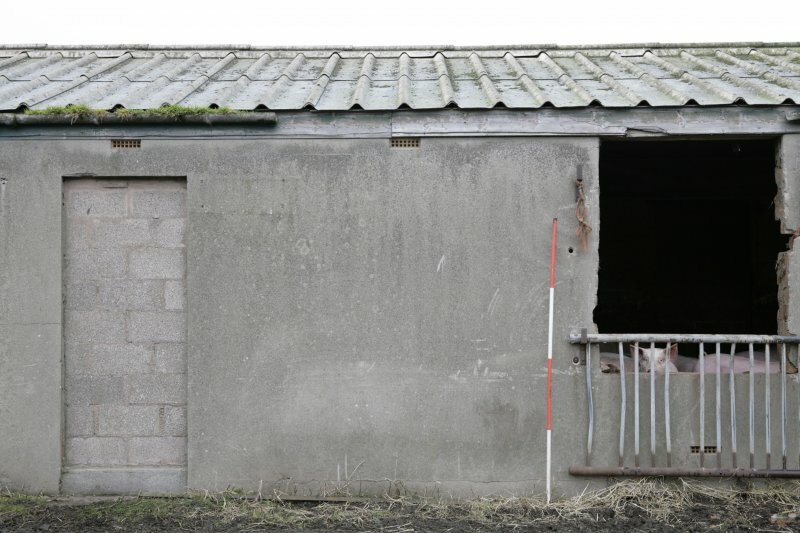 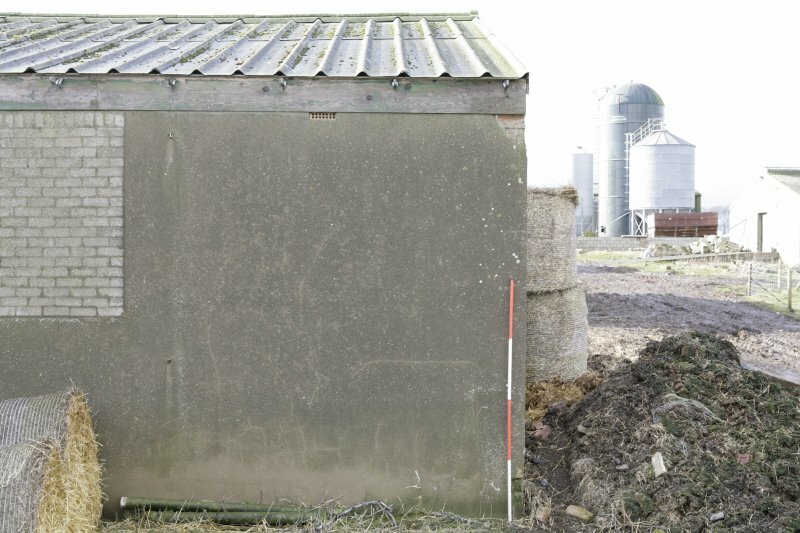 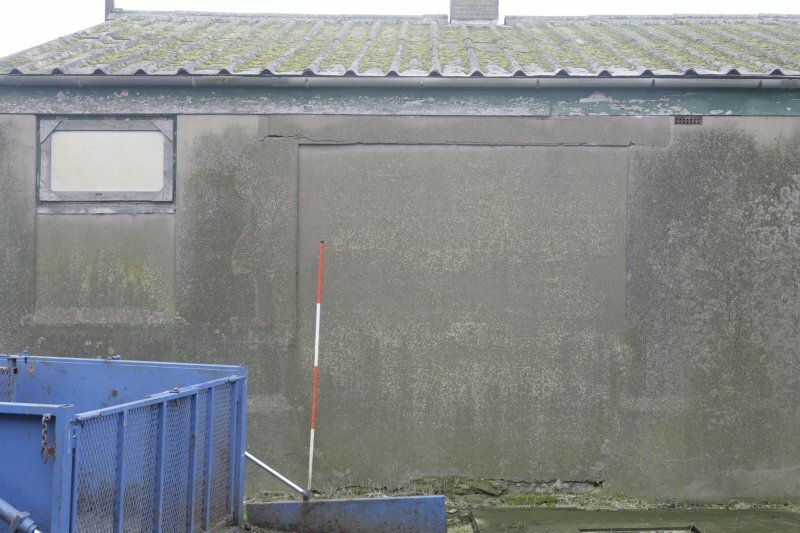 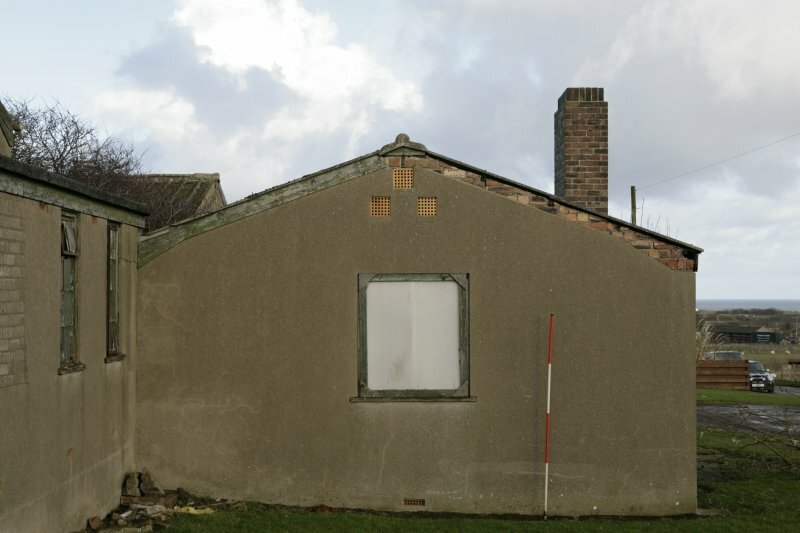 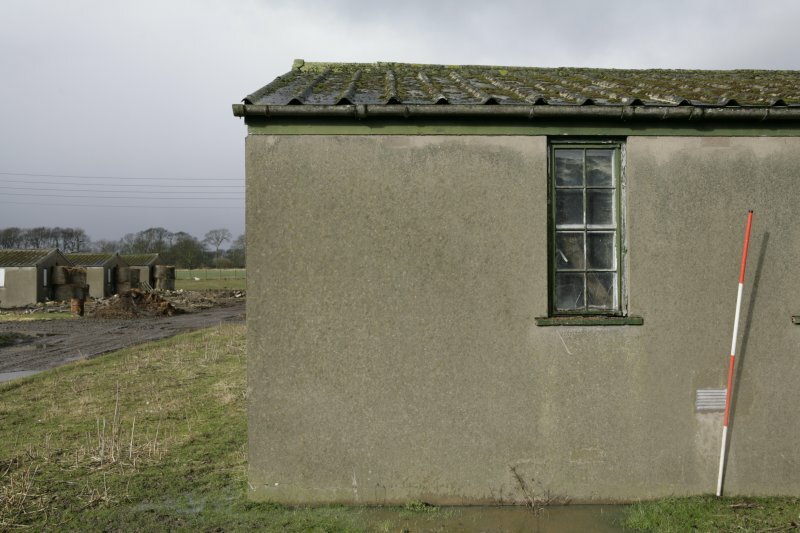 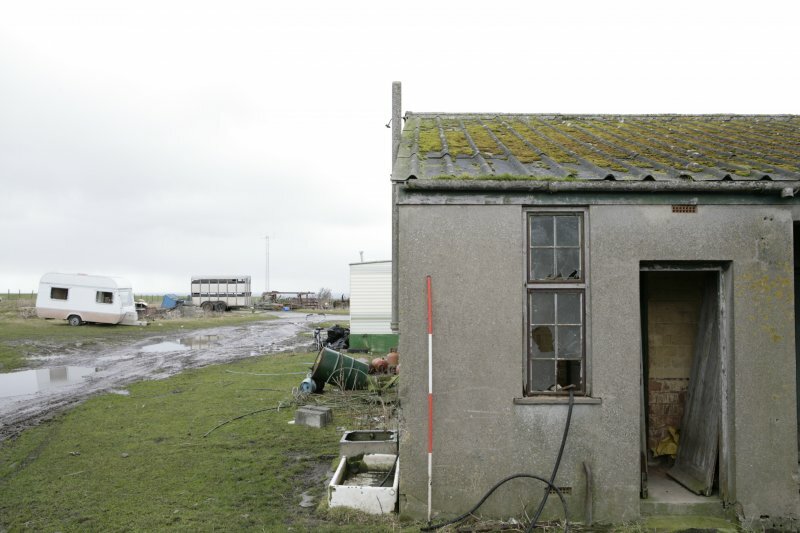 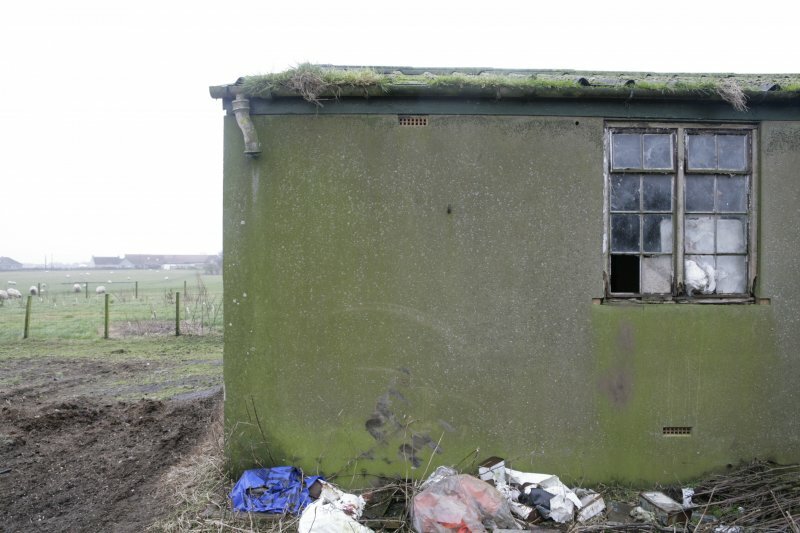 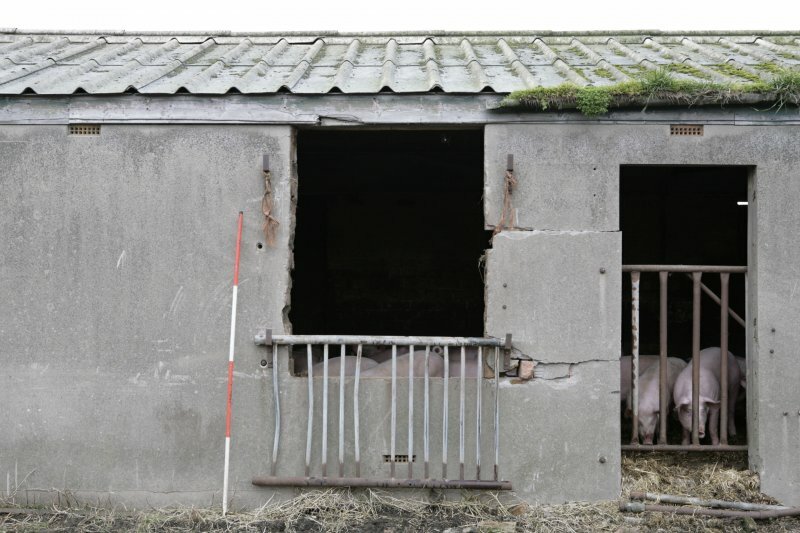 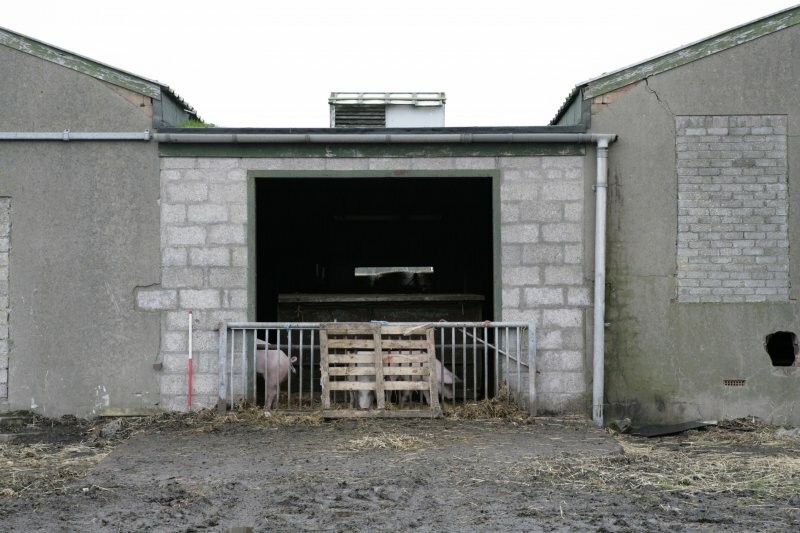 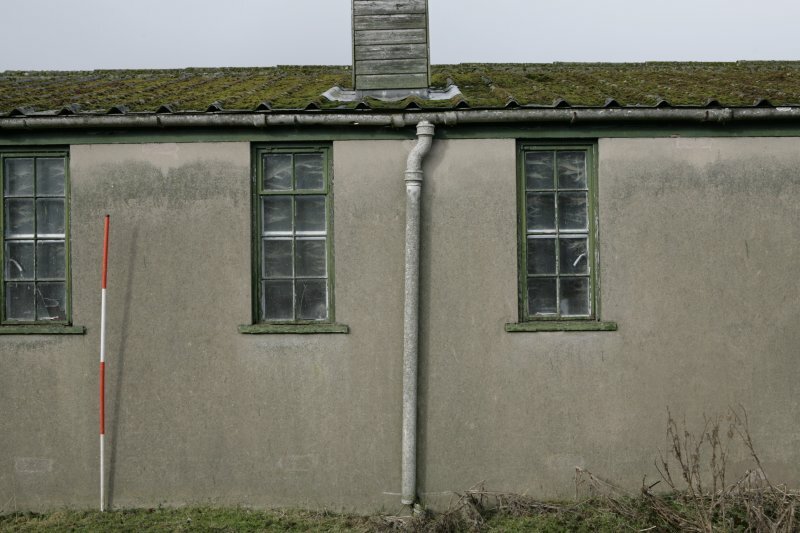 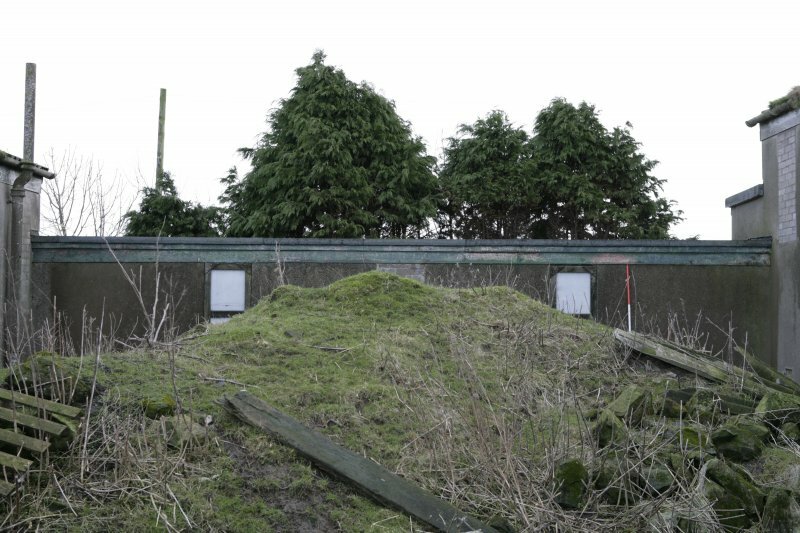 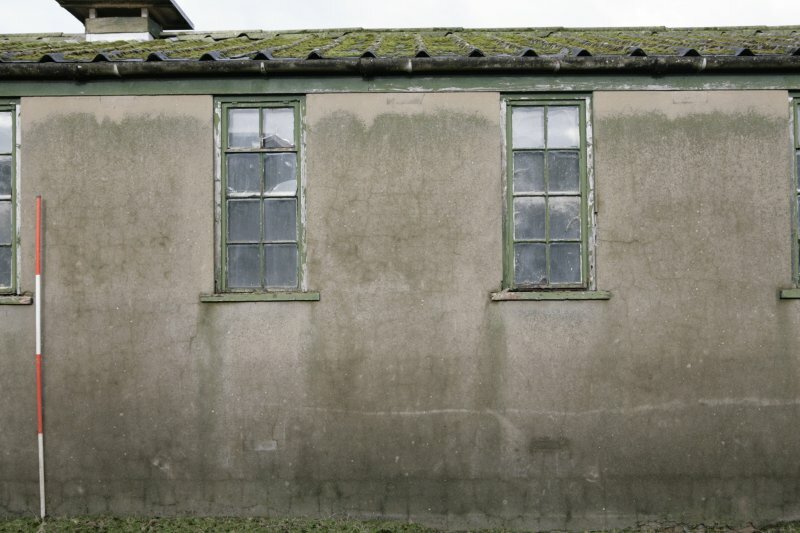 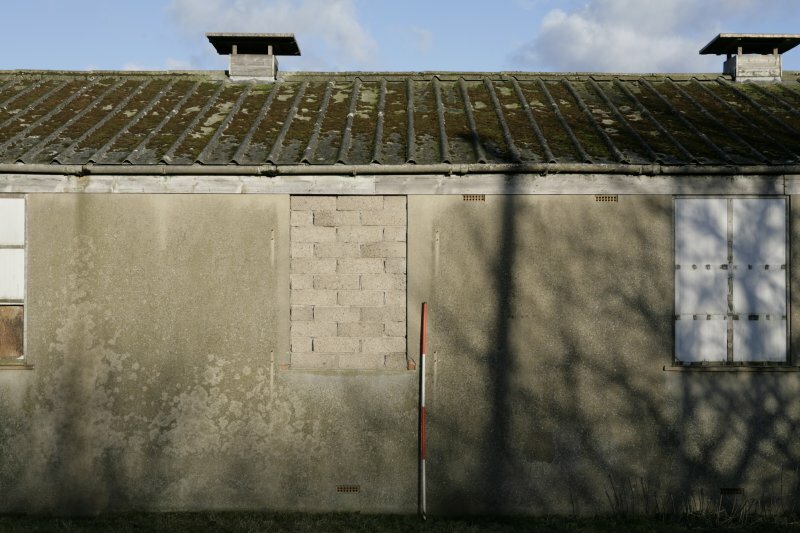 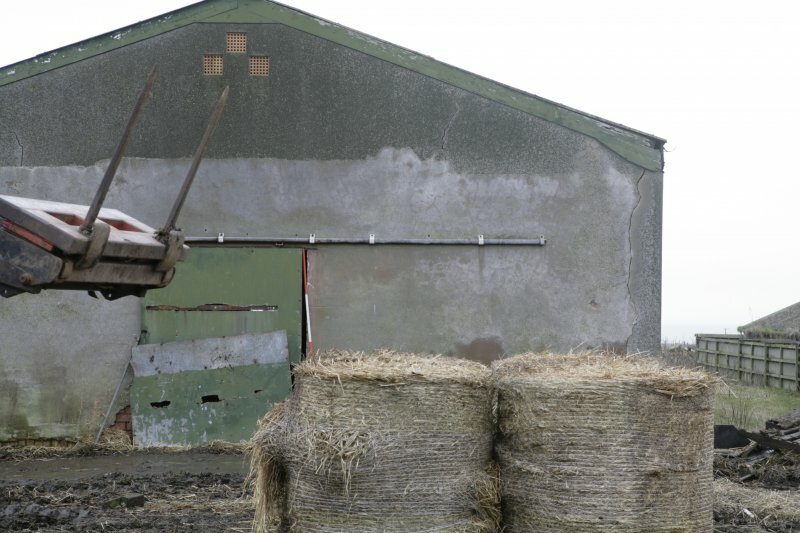 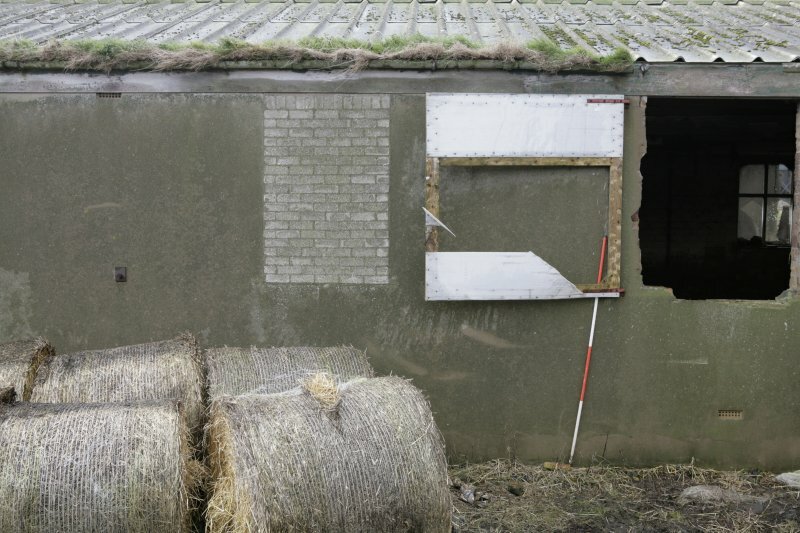 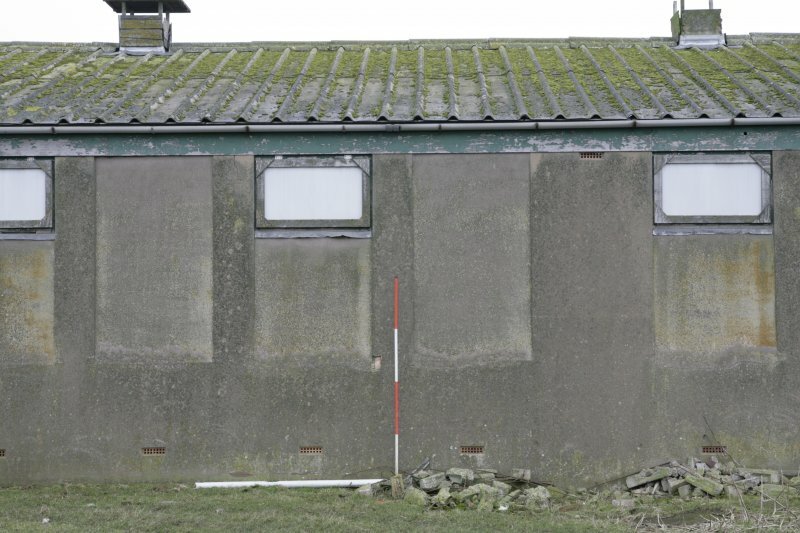 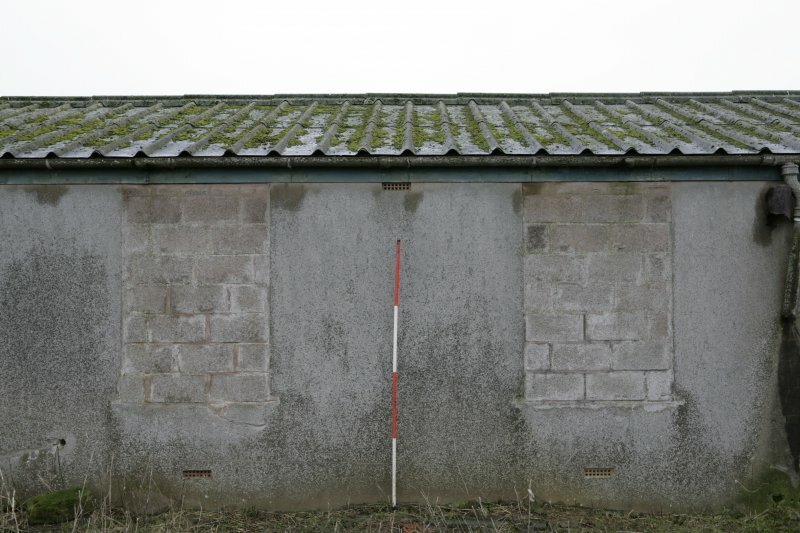 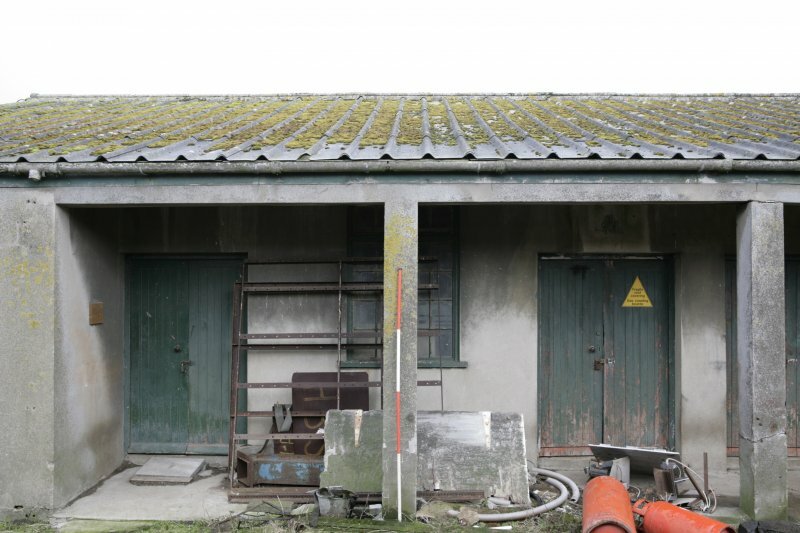 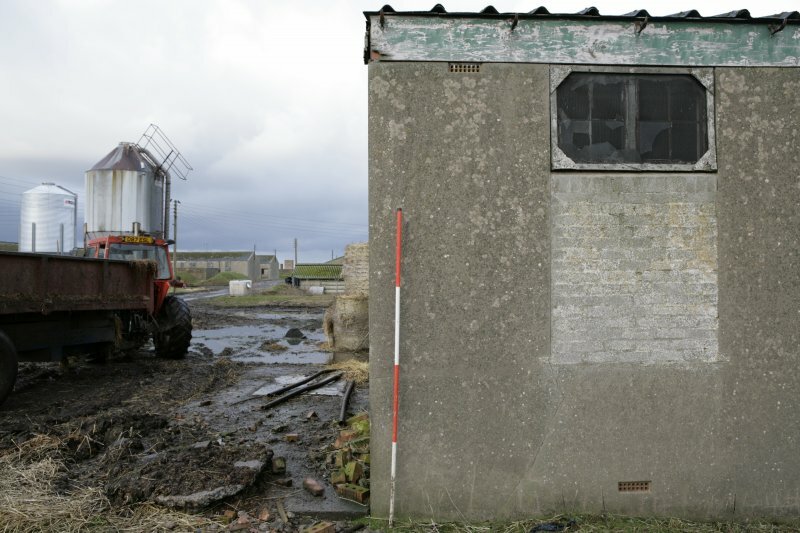 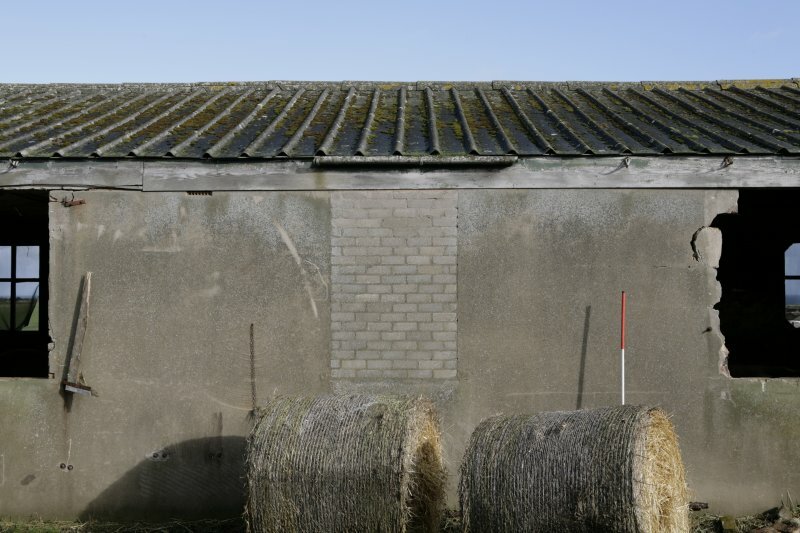 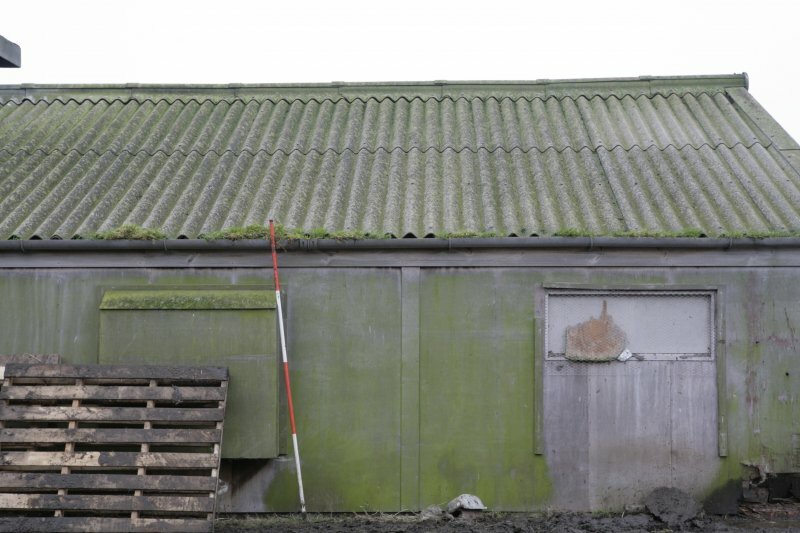 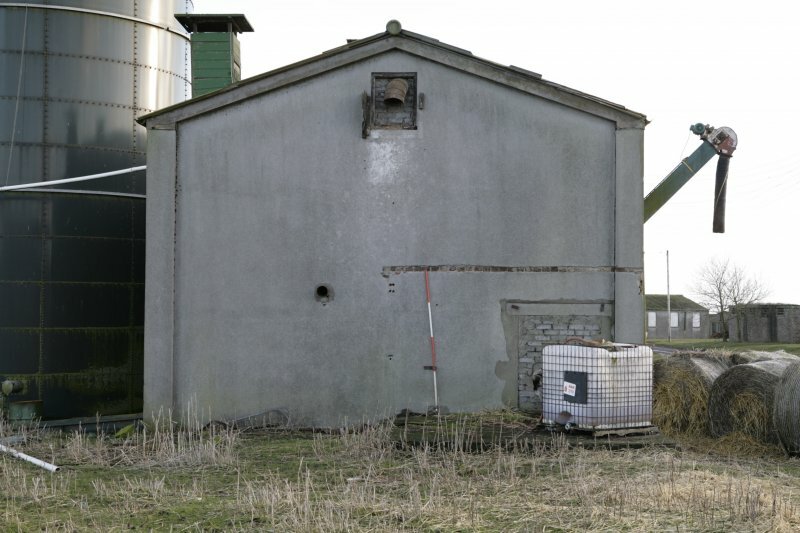 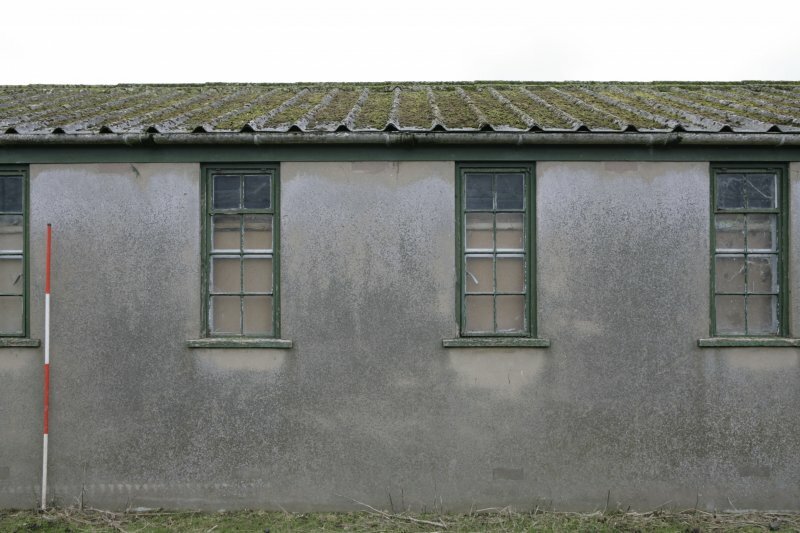 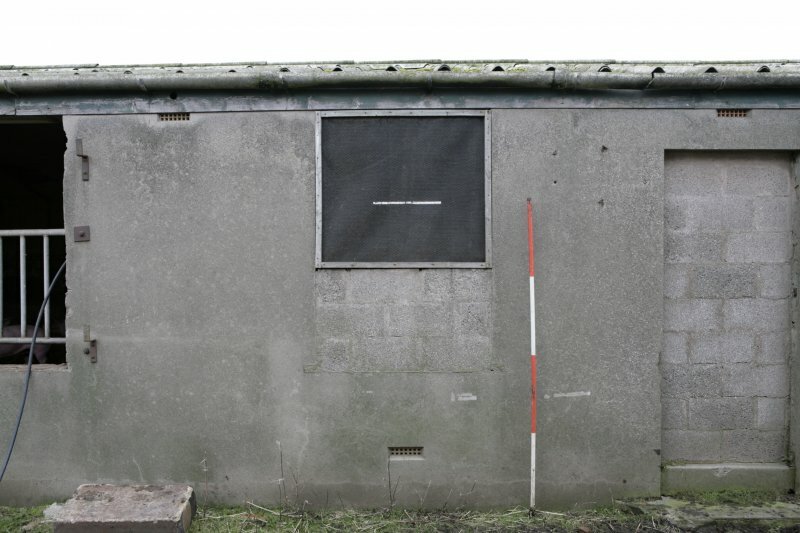 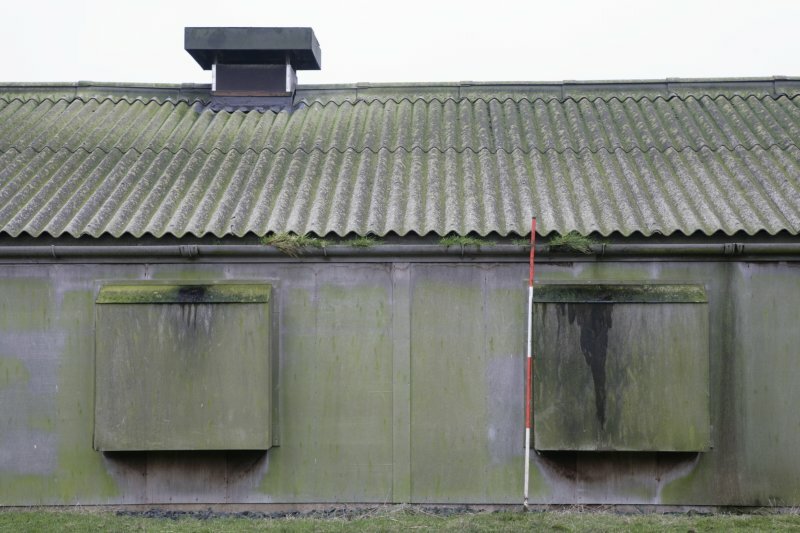 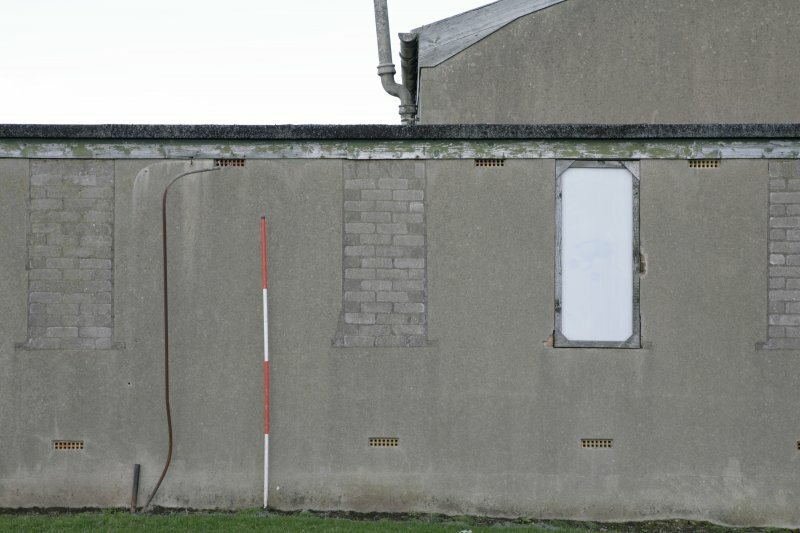 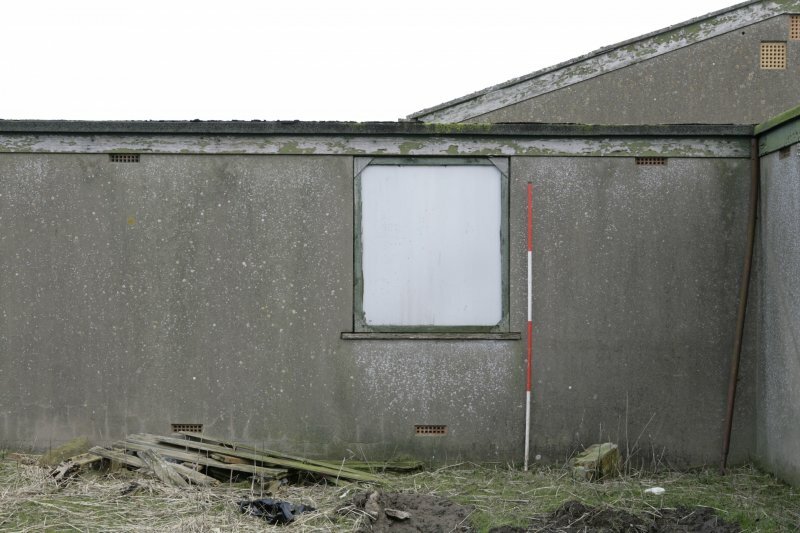 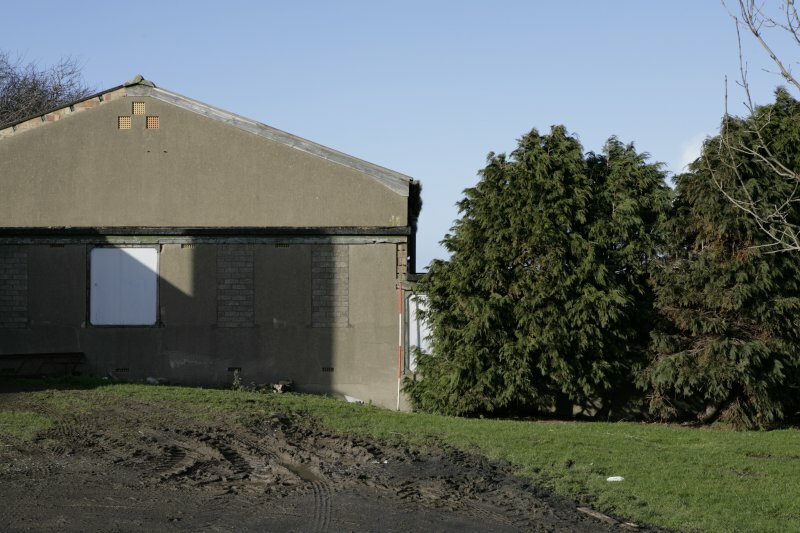 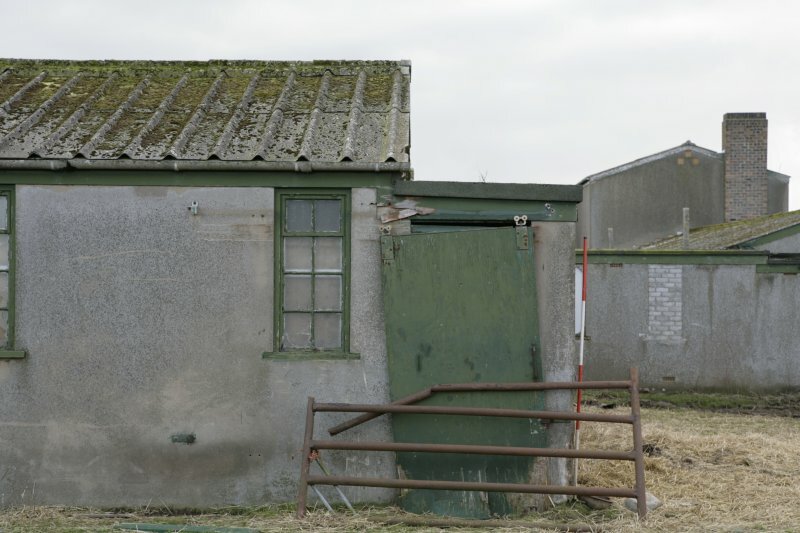 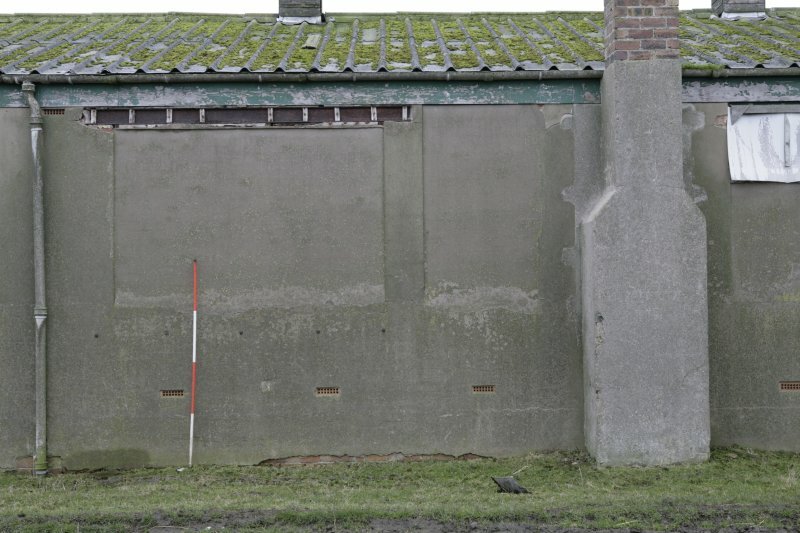 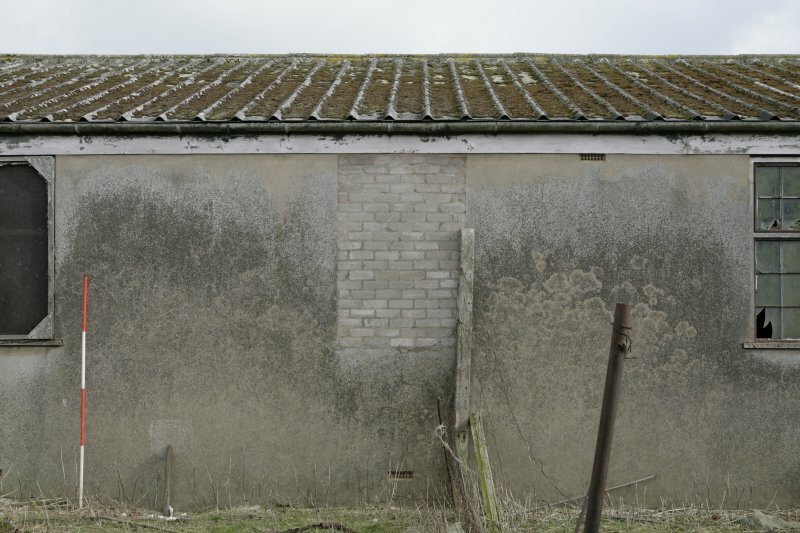 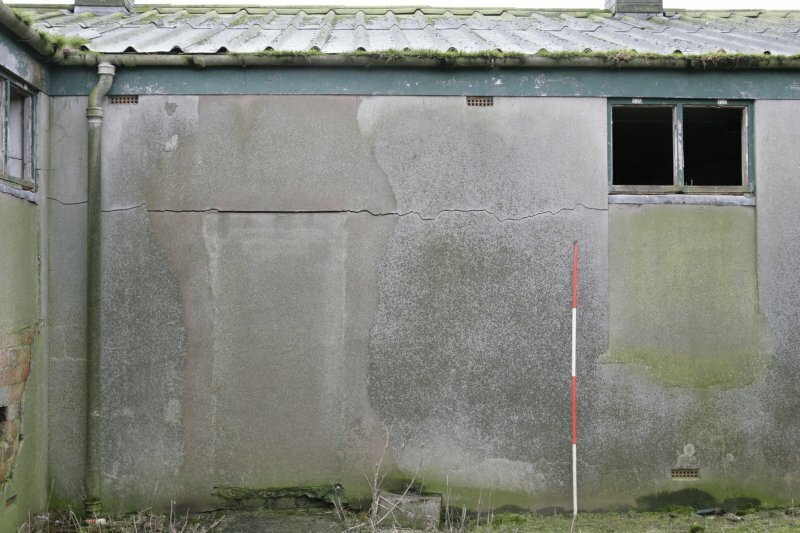 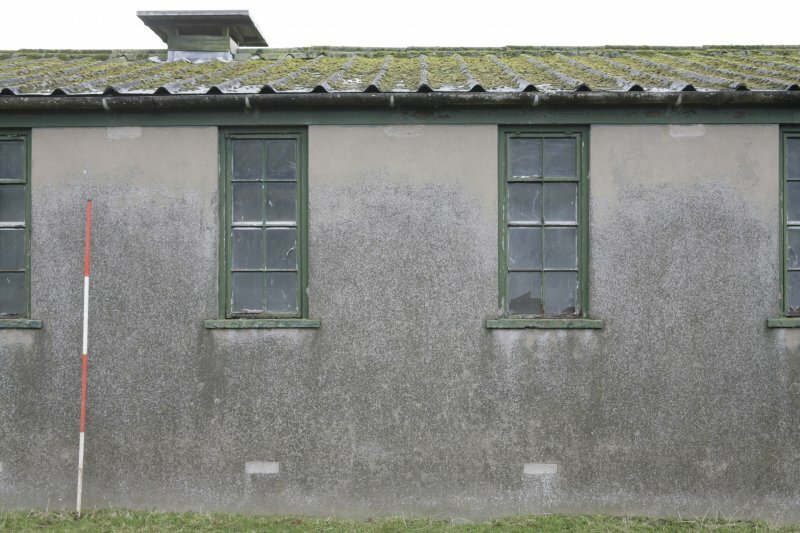 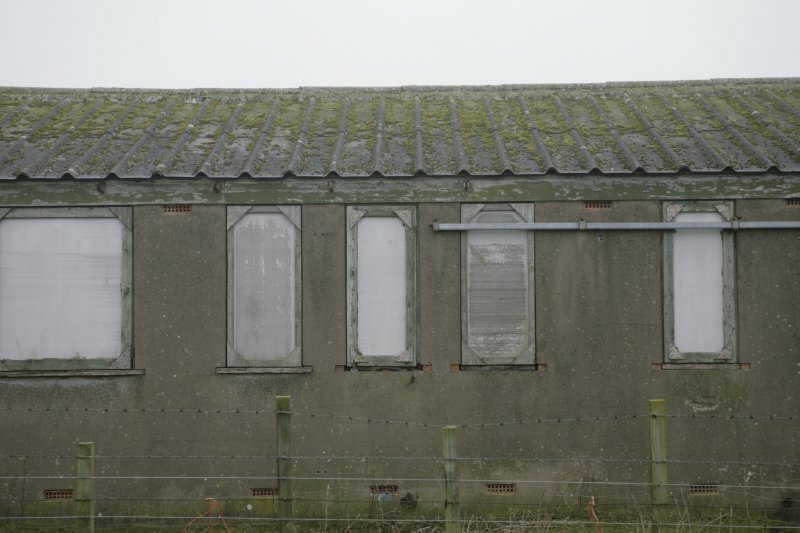 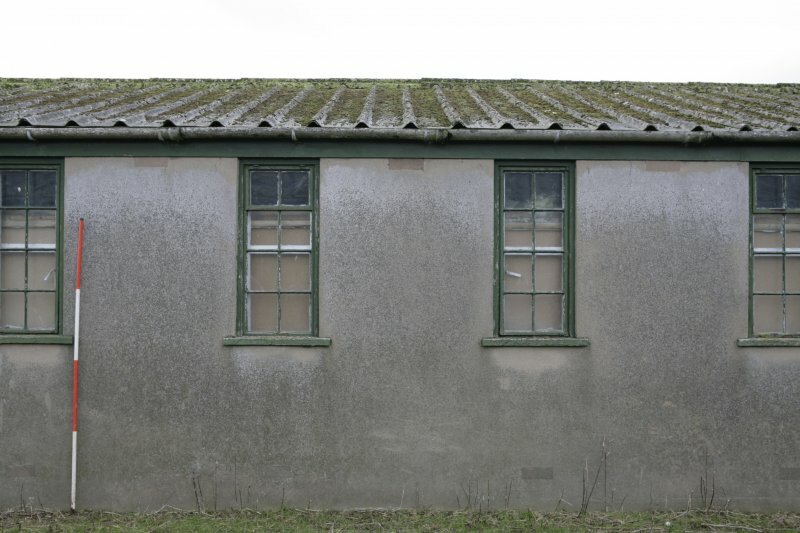 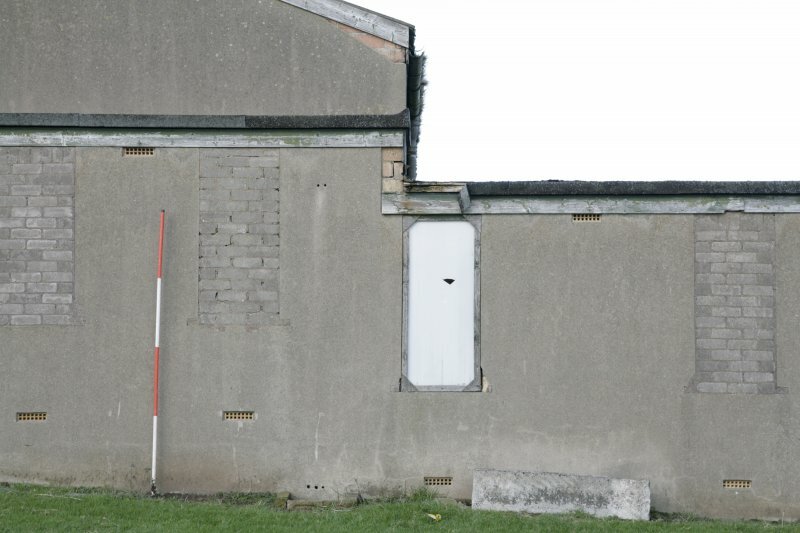 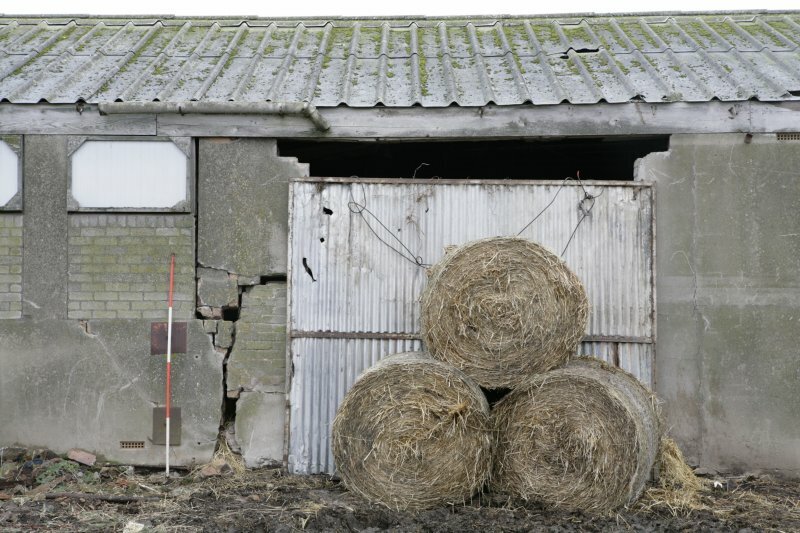 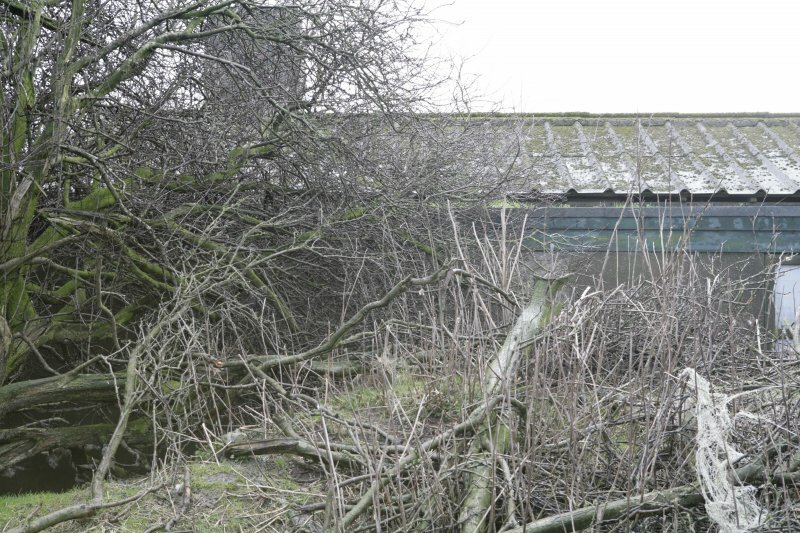 The survey confirmed that the airfield buildings have undergone a number of modifications to adapt them to housing livestock. 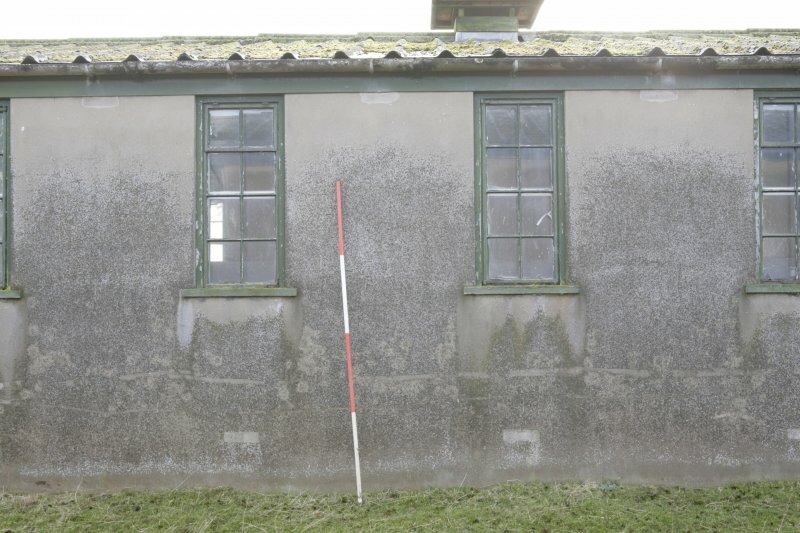 The survey report also included the results of a previous condition survey on each of the buildings. 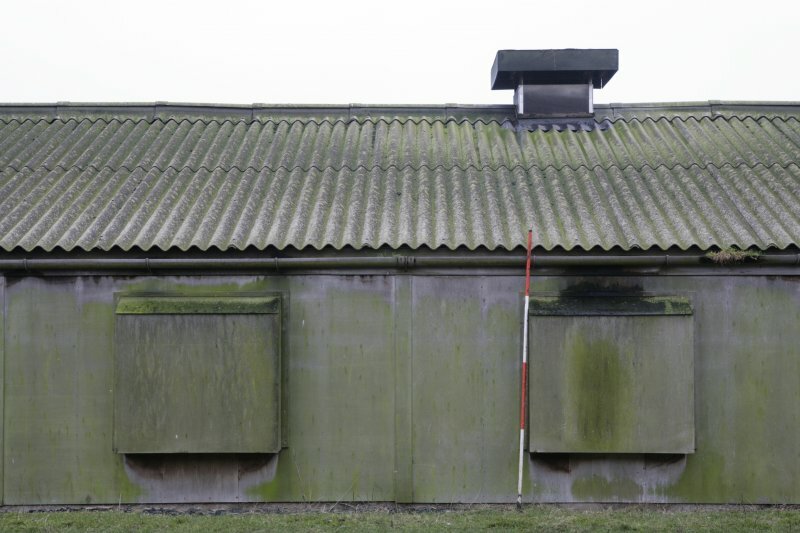 The archive will be deposited with NMRS.